I am working on a really profound article that involves Brian Kelly who is pictured below wearing his Rolex Submariner Reference 5512 or 5513 with pointed crown guards, and I though I would share this great preview image with you. Full story coming soon!!! 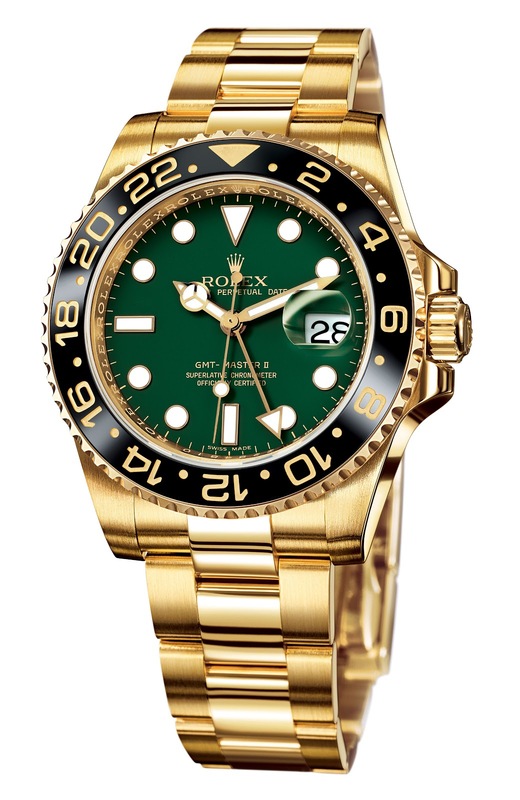 I am kinda sad to share this with you, but Rolex discontinued one of my favorite models which is the yellow gold Rolex GMT-Master II with green dial as seen bellow. 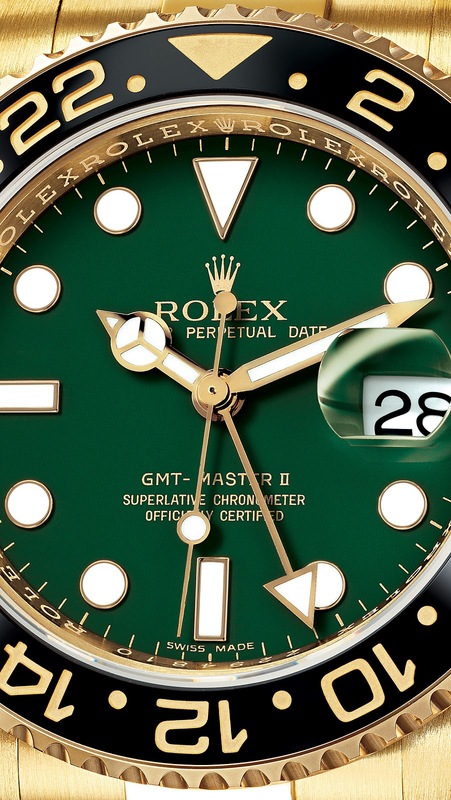 Rolex introduced this stunning beauty fourteen years ago in 2005 on the 50th anniversary of the GMT model, and they gave it an unusual forest green dial. 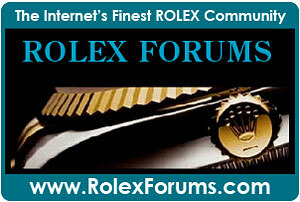 Over the years I have seen this watch in person and it is a truly magnificent looking Rolex watch. 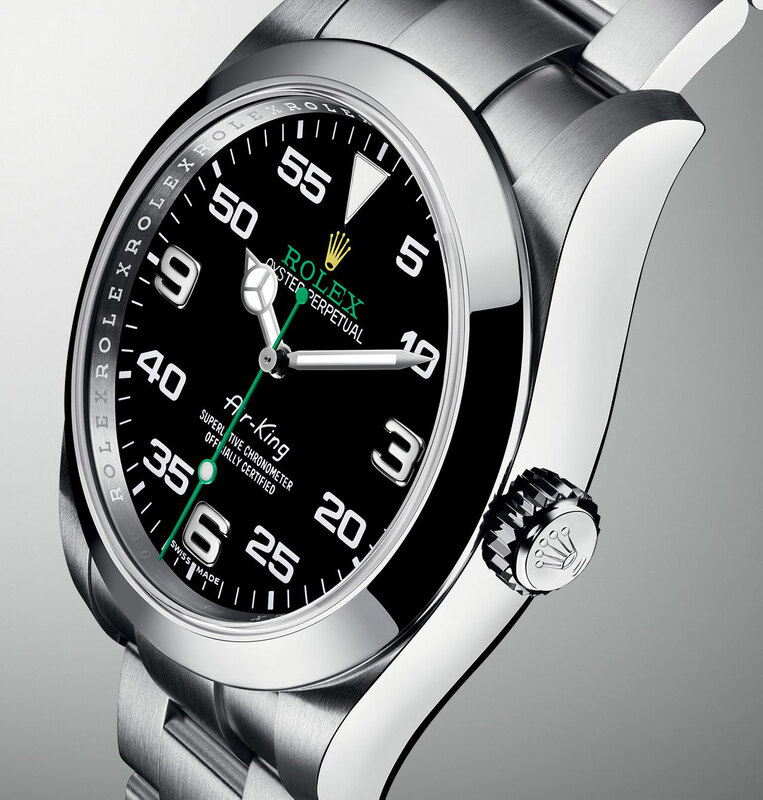 The watch is just striking in person, and the forest green dial for some reason kind of reminds me of a pool table. Examining the up-close macro dial shot of this beauty really allows you appreciate how elegant, precise and timeless Rolex design language is...just stunning!!! 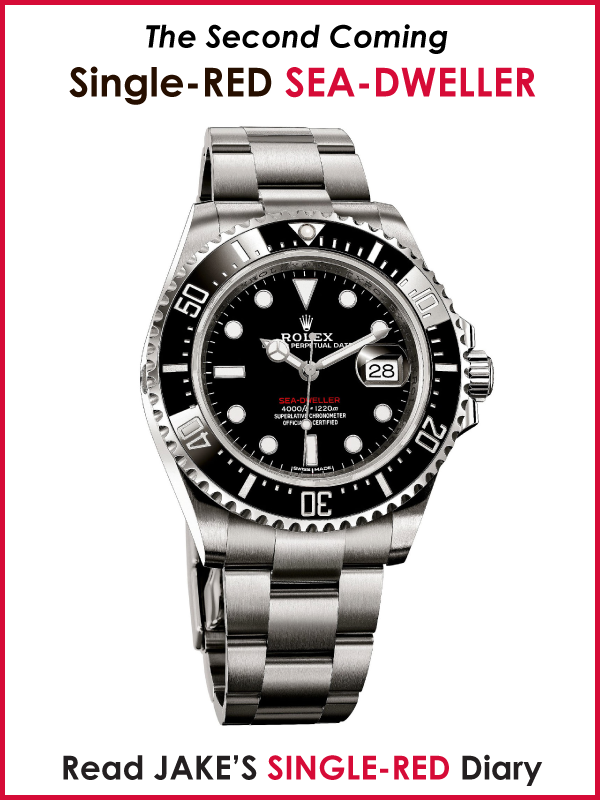 When Rolex discontinues models, often times we see them go up in value and I think this model will certainly follow that trend. 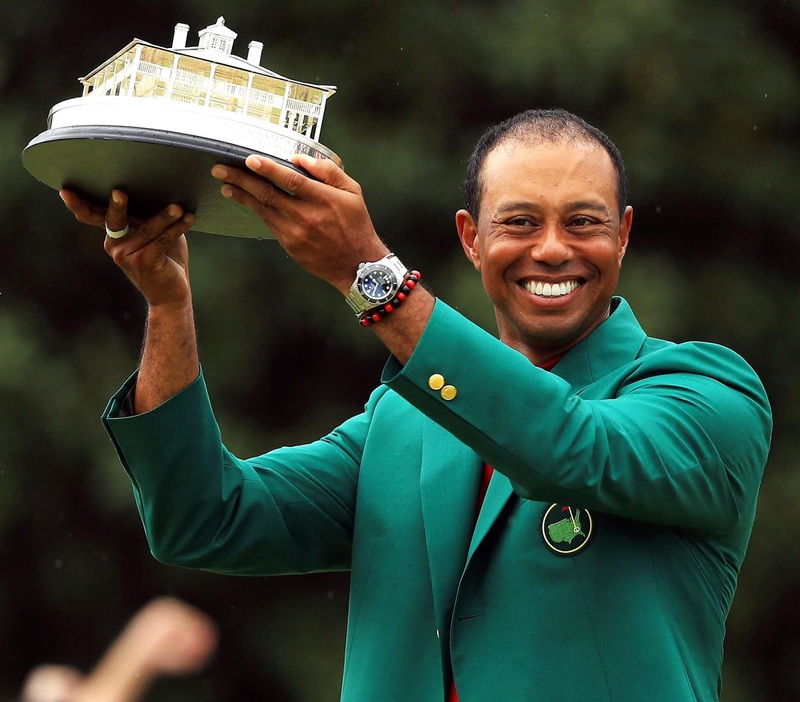 Tiger Woods roared back when he won the 2019 Masters Golf Tournament today in Augusta, Georgia and won the famous green coat!! 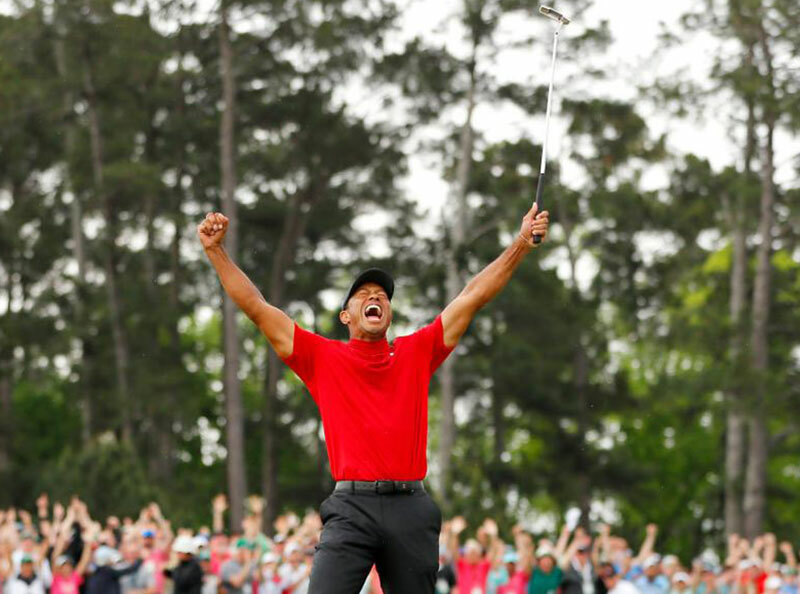 This was Tiger Woods 81st Career PGA Tour Win (2nd Most of All-time) makes Tiger Woods a 5-Time-Masters Champion, which puts him in 2nd place for most career wins. 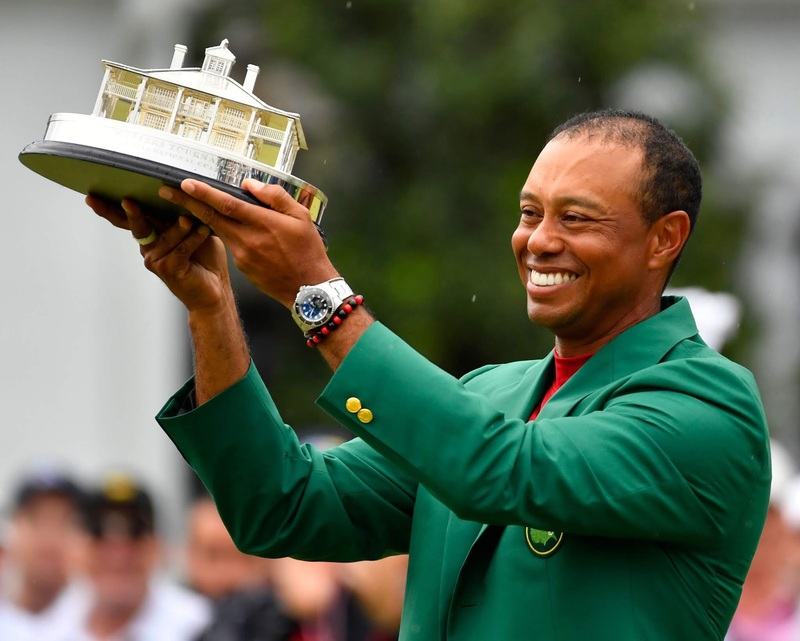 Most profoundly, this means Tiger Woods broke the record for most year between Masters wins at 14 years in-between!!! 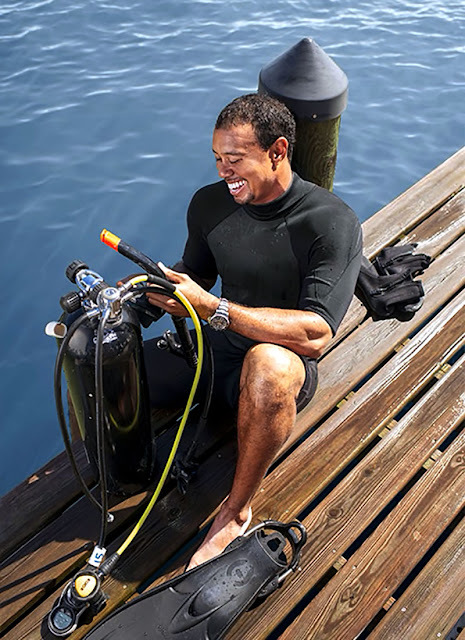 Tiger wore his Rolex DEEPSEA SEA-DWELLER D-Blue after he won the Masters Tournament, as we see on his wrist in the videos above. 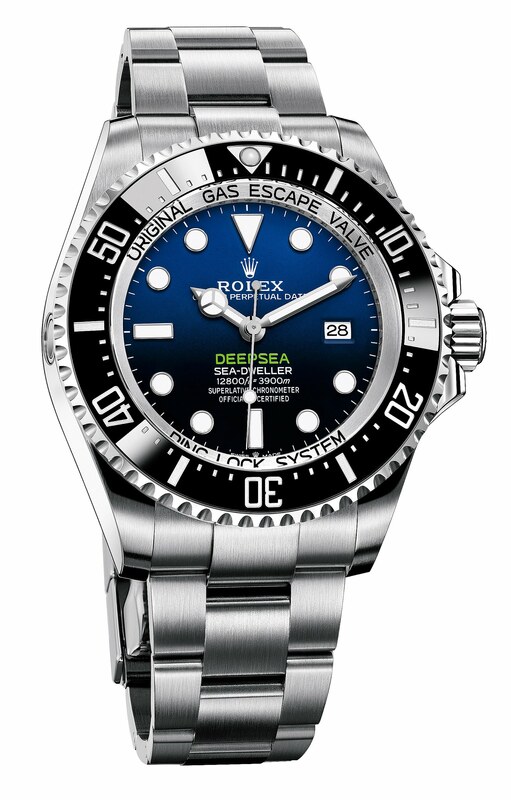 The D-Blue SEA-DWELLER features an unusual horizontal gradient to faces from blue above to black below, and it also has the DEEPSEA dial designation in a large green font. 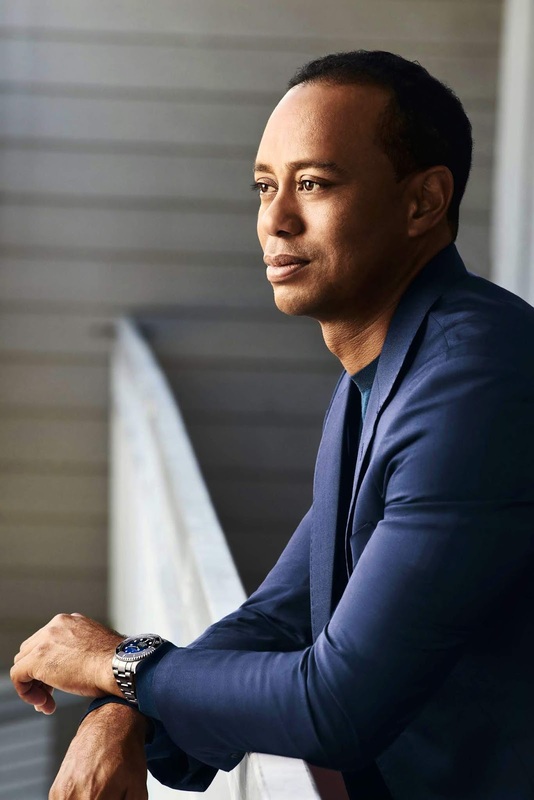 It is kind of profound if you think about it that the only two brands that didn't abandon Tiger after the challenges he went through years ago were Rolex and Nike. 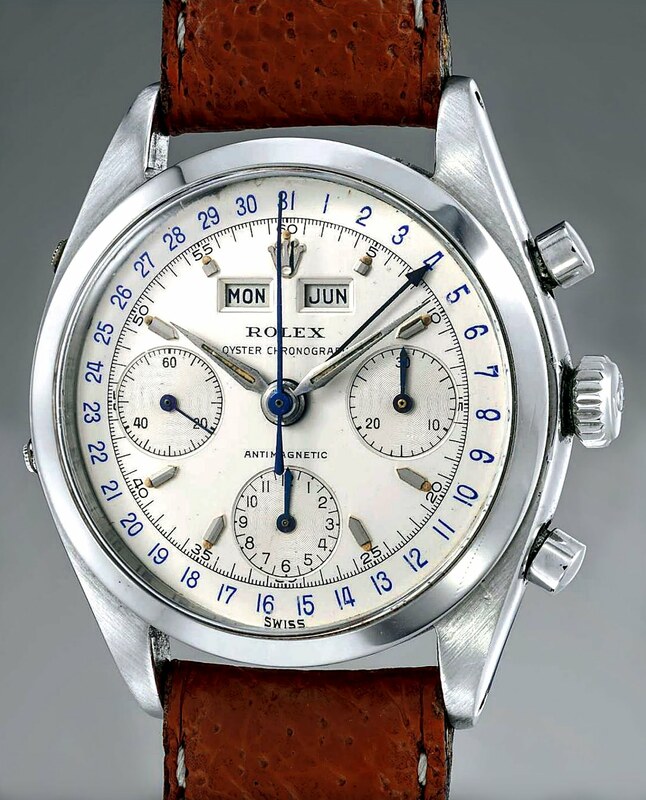 Phillips Auction House recently put their new May 2019 Auction catalog online and they have some AMAZING historical Rolex pieces as seen below!!! This first image is from Lot 68 which features this magnificent 38MM Rolex Triple Date Moonphase Reference 8171 in yellow gold. 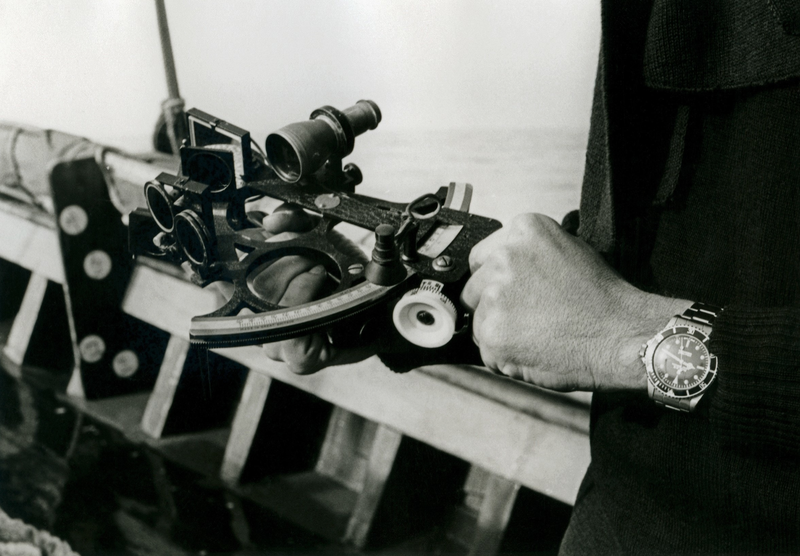 This second image is from Lot 213, which features this 1958 Rolex Submariner Reference 5508 with a gilt dial and red triangle with pearl intact. Next we see Lot 56 which features a 1960 Rolex Triple Date Chronograph Reference 6236 which is the most complicated Rolex model ever made. 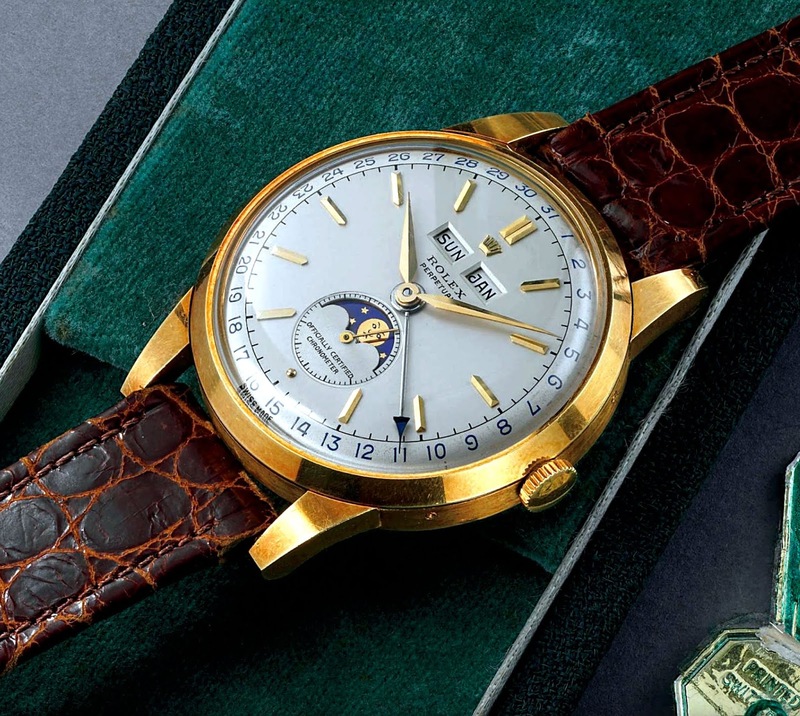 You can view the lots online on Phillips website from this upcoming auction, and also you can check out a PDF version of their amazing upcoming Geneva Watch Auction: NINE catalog as well. 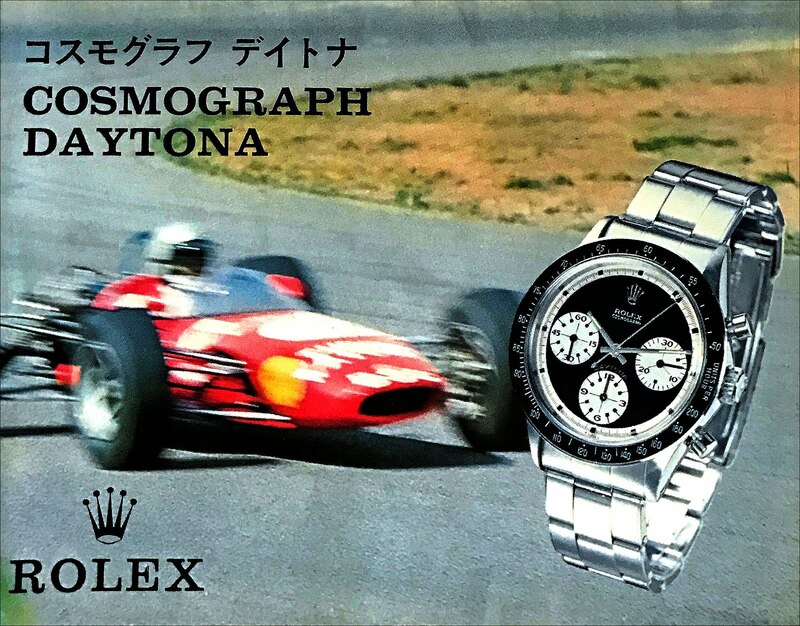 Another Rolex Daytona history mystery is being solved with the images below thanks to renowned horological expert and author, John Goldberger who sent in these higher-resolution images of a 1971 Rolex Cosmograph Daytona brochure front and rear covers. 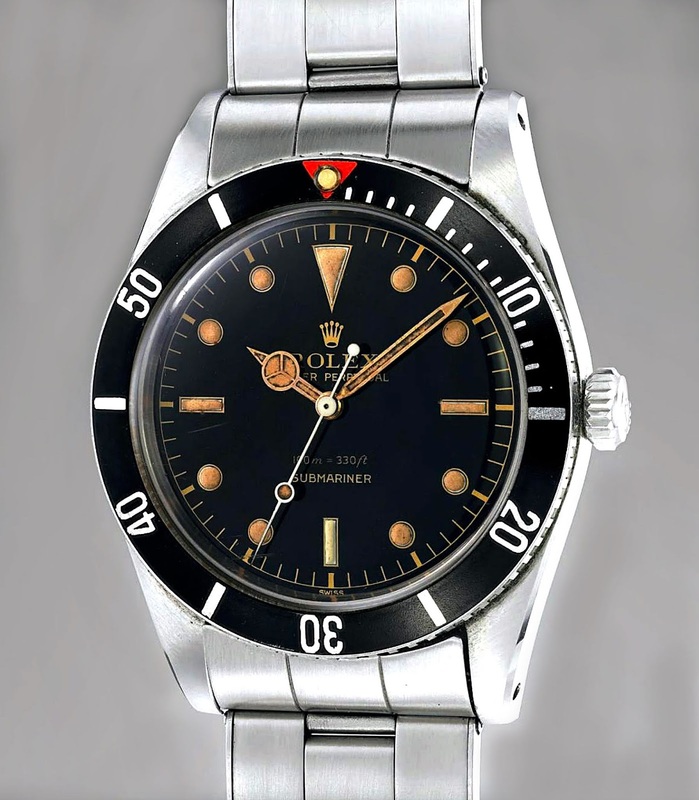 John Goldberger wrote the book titled "100 Superlative Rolex Watches" and I conducted a three hour podcast with John back in 2008. When I first saw this image previously as he had posted it on Instagram as seen below, the image showed the very part of back page still attached at the top, so I could see part of the cityscape background, which looked like Monte Carlo, Monaco to me. 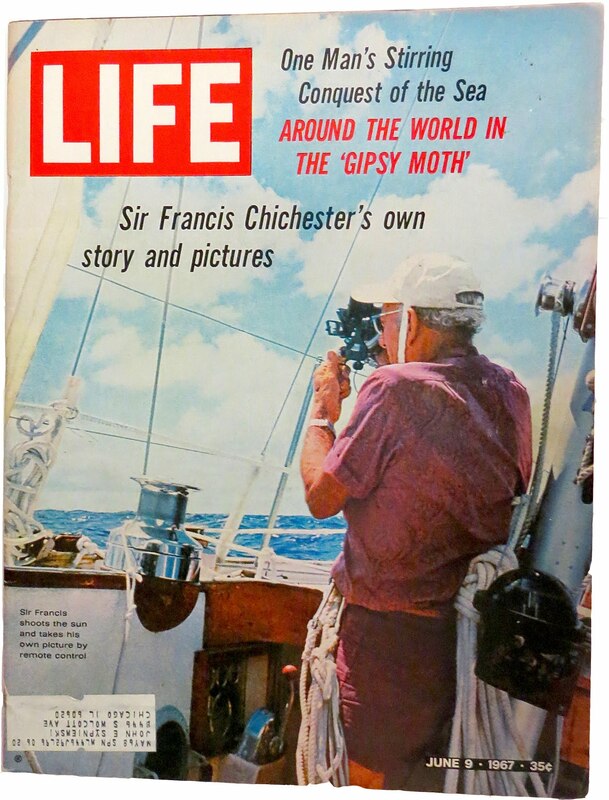 Below is a copy of the original image that John Goldberger send me. Notice the version on his Instagram account has the racetrack blurred into the cityscape, whereas with the image below we see the folding crease from the brochure. 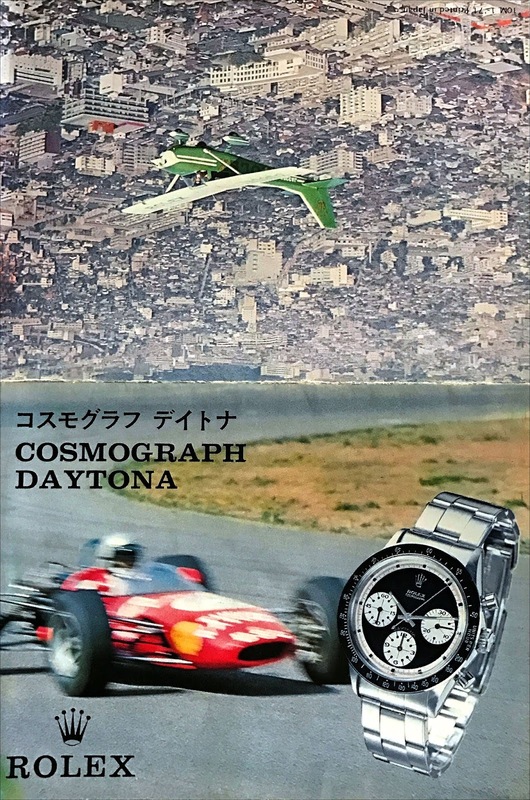 Now that we have clear view of the back of the 1971 Japanese Rolex Cosmograph Daytona brochure we see it features a Rolex Airplane flying over Geneva! If you look closely you will notice the green airplane says ROLEX on the top of both wings, as well as on the side, and on the tail we see the Rolex Crown Logo! I originally published Stan Barrett's story on August 14, 2016, and much has changed since then. 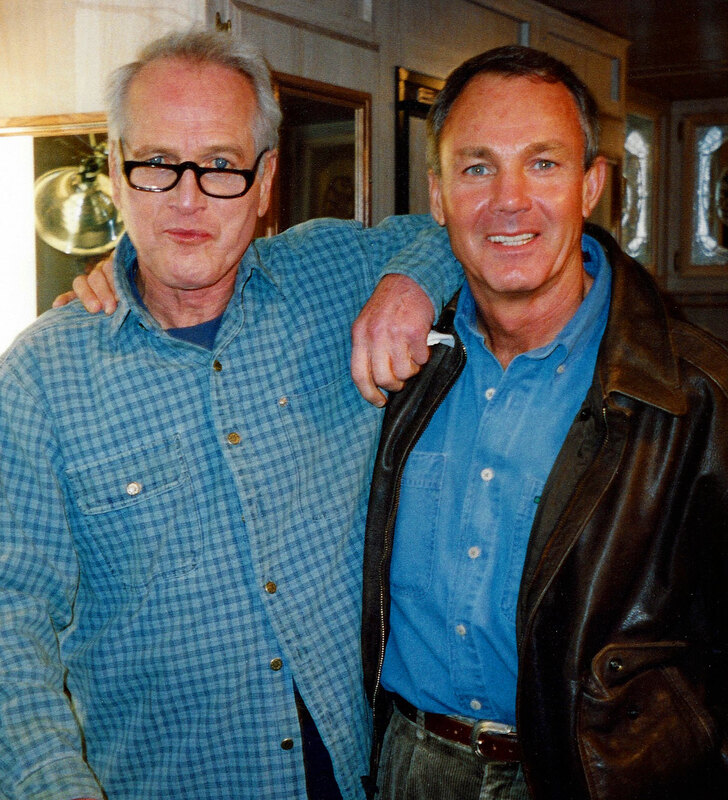 Stan Barrett was Paul Newman's best friend and primary stuntman, and we see the two of them pictured together below in the last photo Stan took with Paul before Paul Newman passed away. Paul Newman is famous for having started his Newman's Own brand where "All Profits Goto Charity." 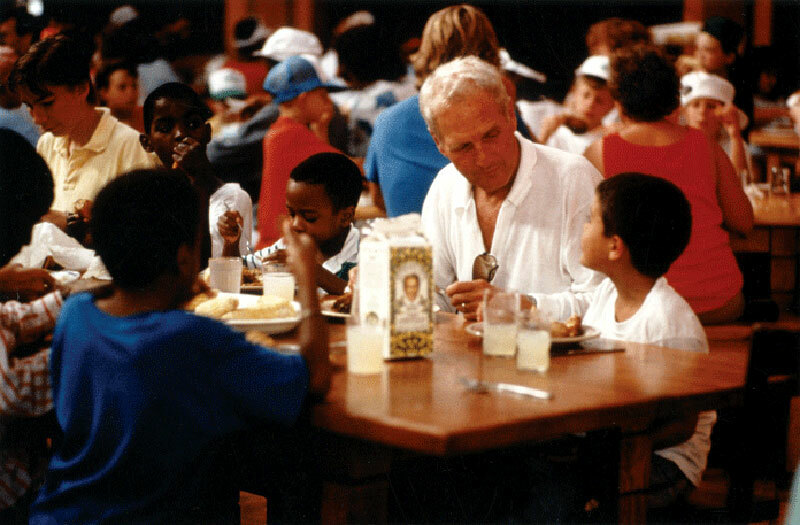 Paul Newman opened the "Hole In The Wall Gang Camps" as pictured for critically sick children. In my 8 part series on Paul Newman I wrote back in 2008, part 8 was called "Saint Paul", as it told the story about Paul Newman's philanthropic achievements. 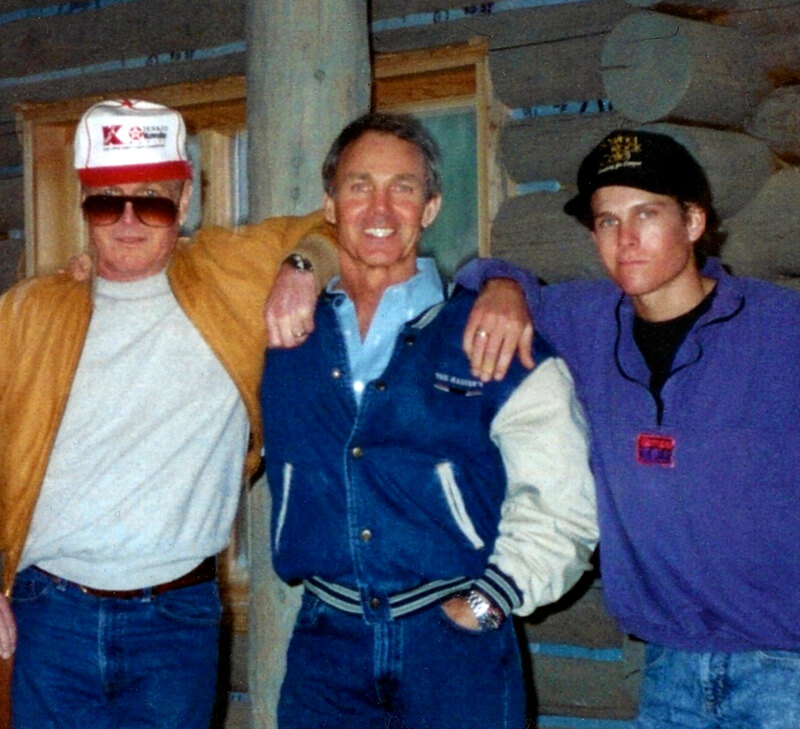 Paul Newman pictured above with kids from his HOLE IN THE WALL GANG CAMP. 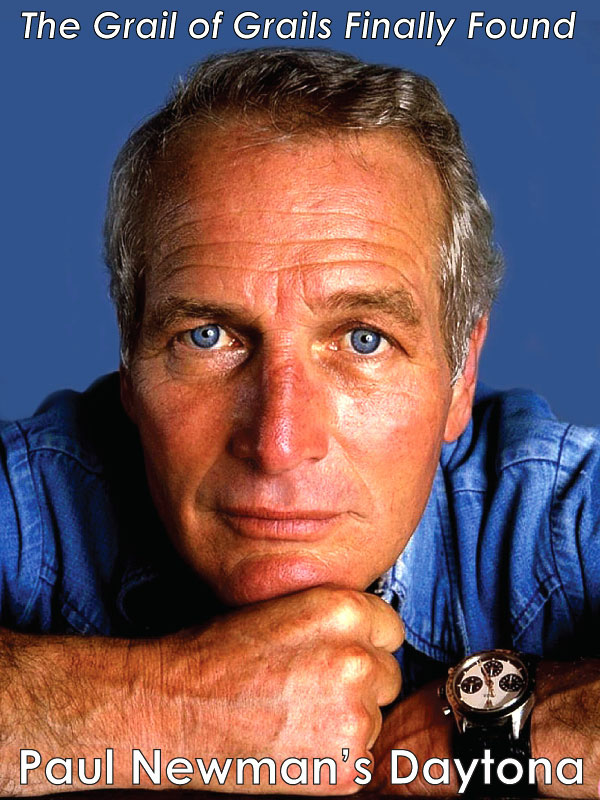 Paul is wearing his Paul Newman Rolex Daytona #3 in this image which is a Reference 6263 that has a black dial and is being worn on a Jubilee Bracelet. 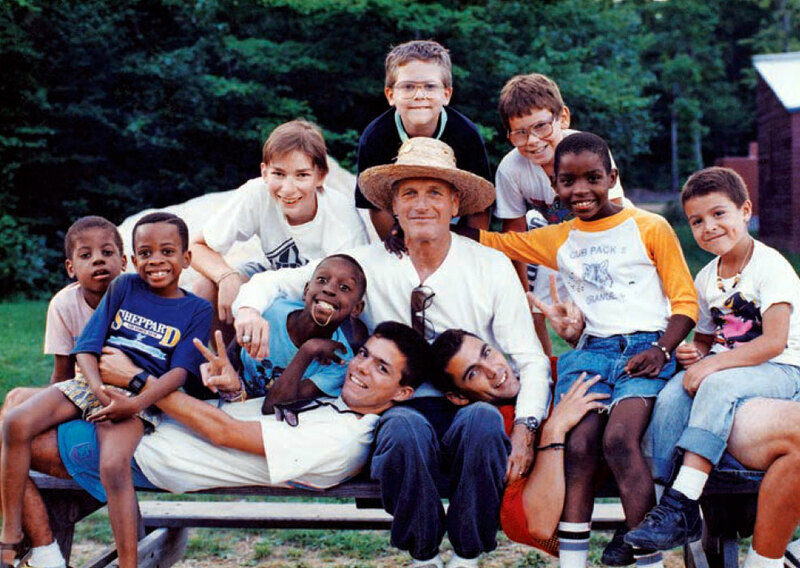 Paul Newman created his Hole In The Wall Camps and he said, "I wanted to create a safe and fun environment where these very sick children could go and have fun, be silly and most importantly just be children, and enjoy life." 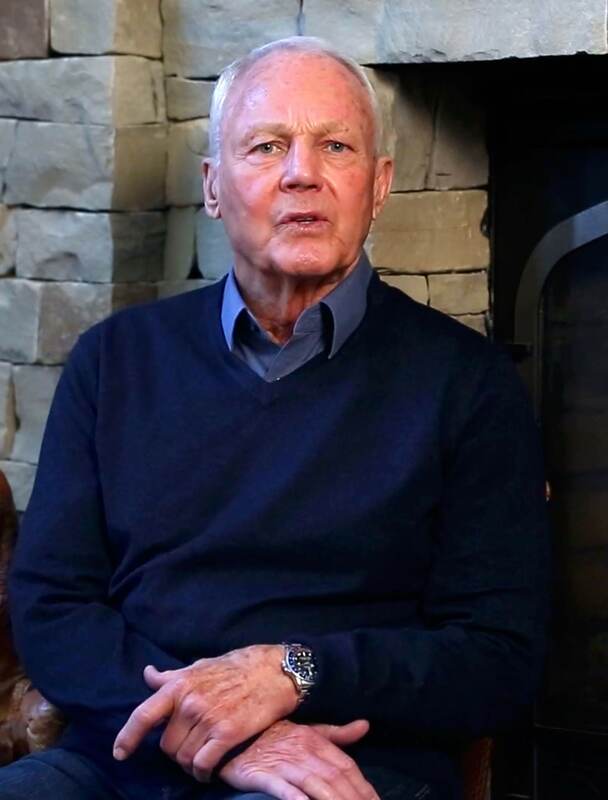 Recently, I have been spending much time interviewing legendary stuntman, speed demon, NASCAR Race Car Driver, Pilot, and philanthropist, Stan Barrett. 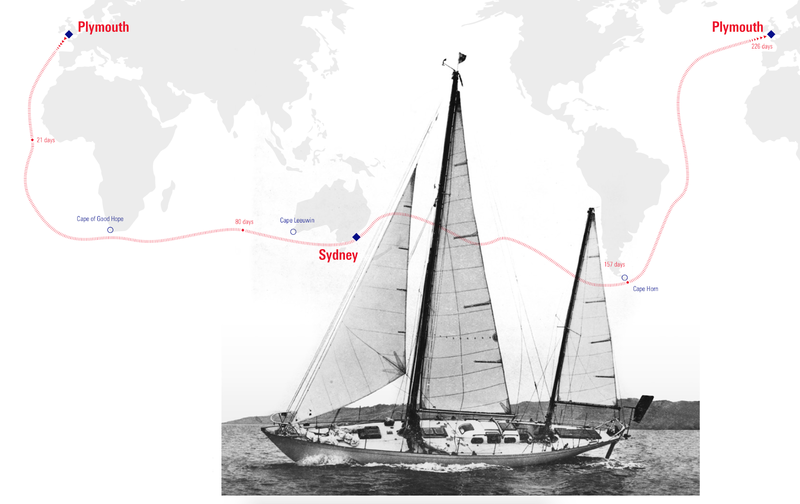 I was introduced to Stan by my good pal, David Concannon who is a famous explorer himself. 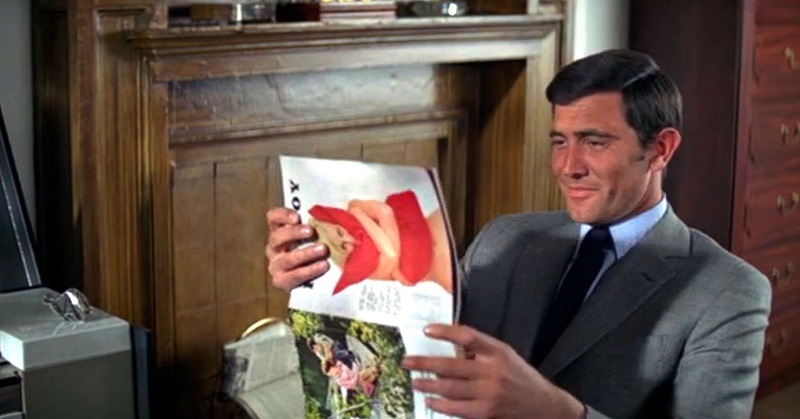 Stan Barrett was best friends with Paul Newman and if you think he looks a lot like Paul Newman, you are right. As a matter of fact, he was Paul Newman's stunt double in many famous movies, and another thing they shared was a love for Rolex. 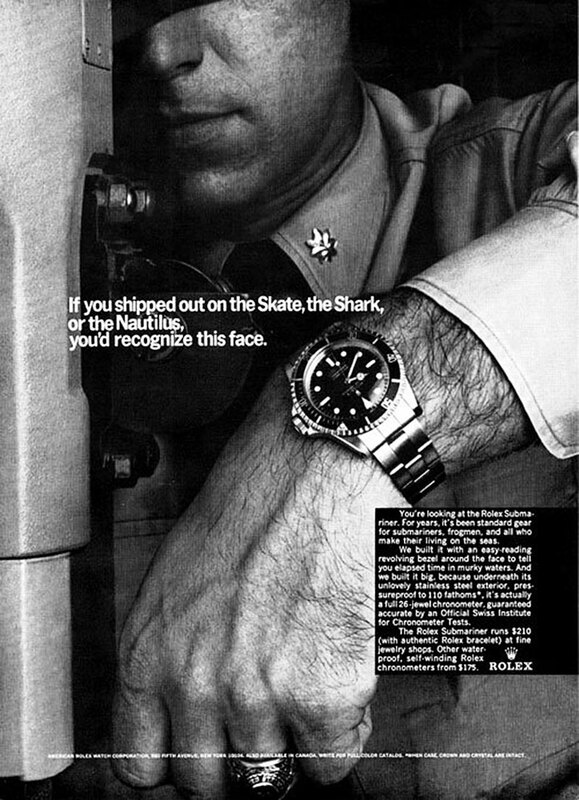 It was actually Paul Newman who turned Stan Barrett on to Rolex when he began giving him Rolex sports watches as gifts. 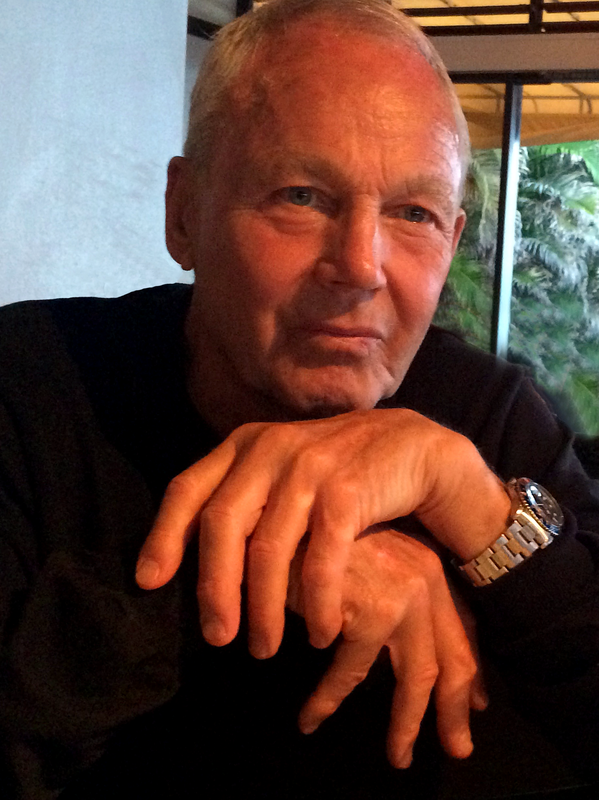 Stan Barrett is pictured below in a recent photo, still wearing his loyal and trusted Pepsi GMT-Master. This is not only a fascinating story about man and machine but a story about a man's man who constantly pushed the envelope. As we will learn, Stan Barrett is The Real Deal. How real? He was a Golden Gloves boxing winner and has two black belts in Karate. Oh, and he used to work-out with Bruce Lee. 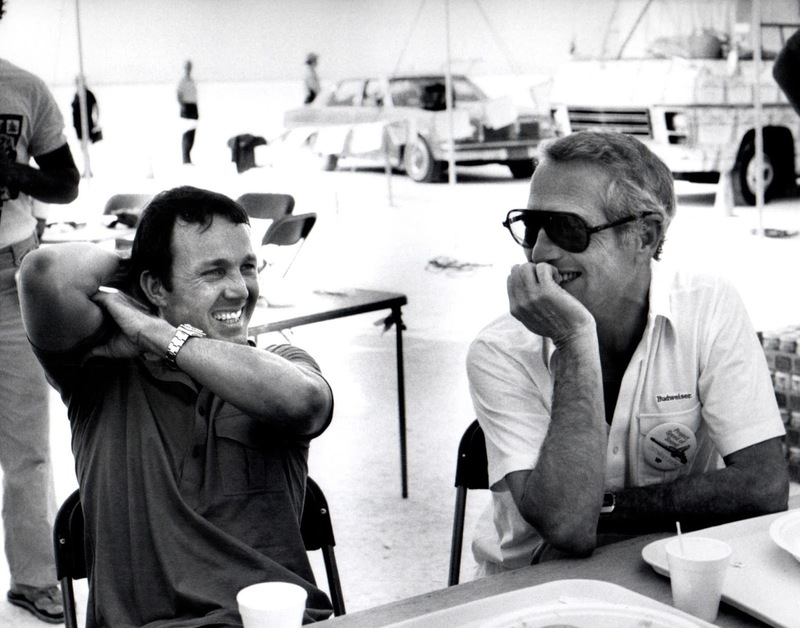 Stan Barrett is pictured below with his good pal, Paul Newman, and notice both are wearing Rolex sport model watches. 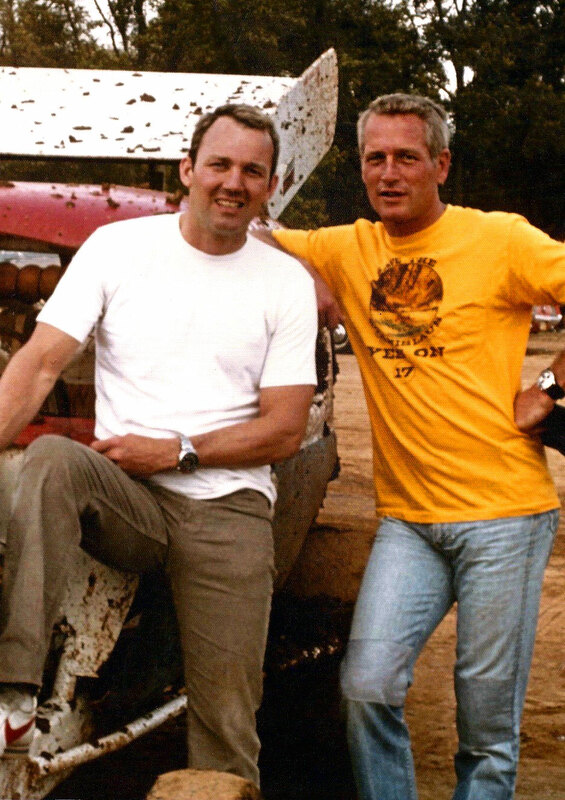 The photo was taken in 1975 at a mud race track one weekend when they were filming the movie, The Drowning Pool. Stan is wearing his Pepsi Rolex GMT-Master and Paul Newman is wearing his trademark Paul Newman Daytona with the exotic white dial. Later in this story, we will delve into their friendship that lasted 40 years. 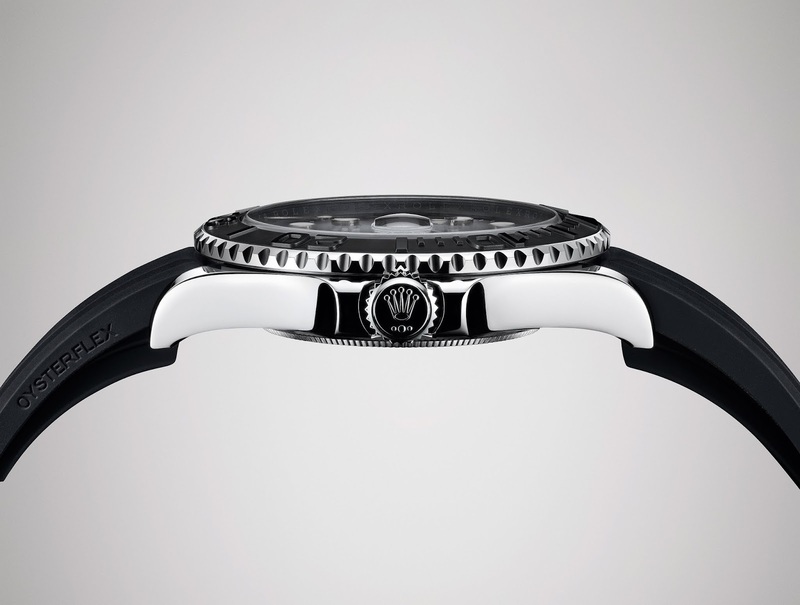 Rolex has an amazing history with land-speed kings, beginning with Sir Malcolm Campbell, who wore a Rolex while setting multiple land speed records back in the 1920s & 1930s. 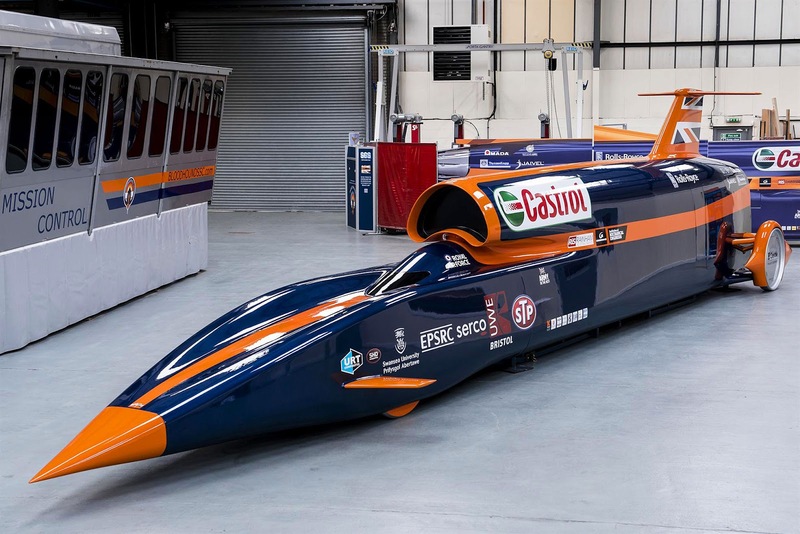 Today, Rolex is a sponsor for the Bloodhound SSC, with Andy Green driving, which is scheduled in 2017 to attempt to set a new land speed record at 1000MPH, which is 239 miles faster than Supersonic. 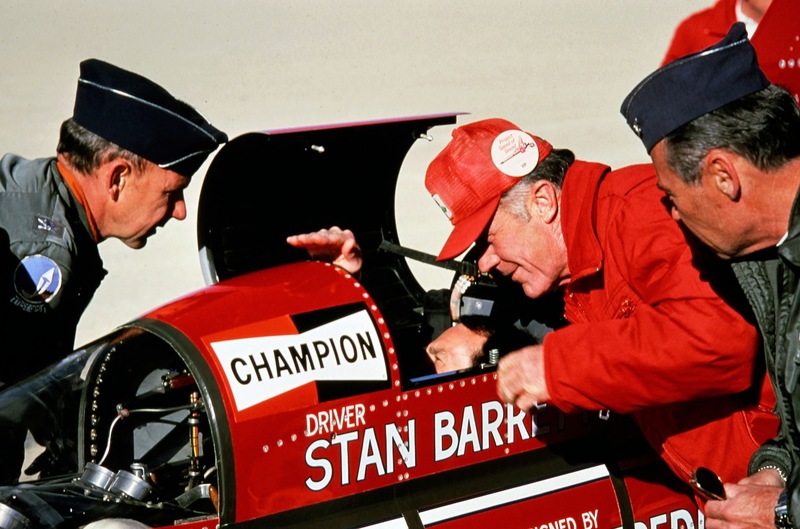 Let's go back to 1979, and take a look at the man who was the very first to shatter the Supersonic sound barrier on wheels, and his name is Stan Barrett. 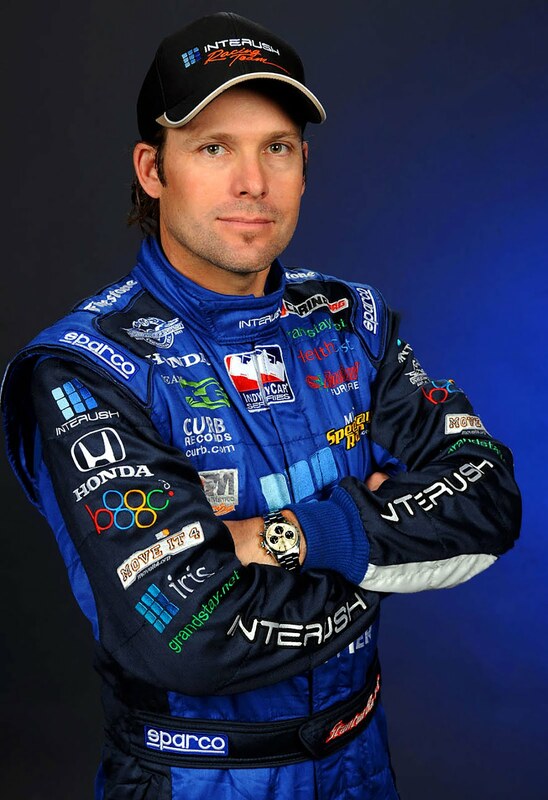 In the photo below we see Stan Barrett wearing his Pepsi Rolex GMT-Master and Rolex Daytona on his left wrist as he prepares to become the first man to drive a vehicle on earth past the speed of sound. 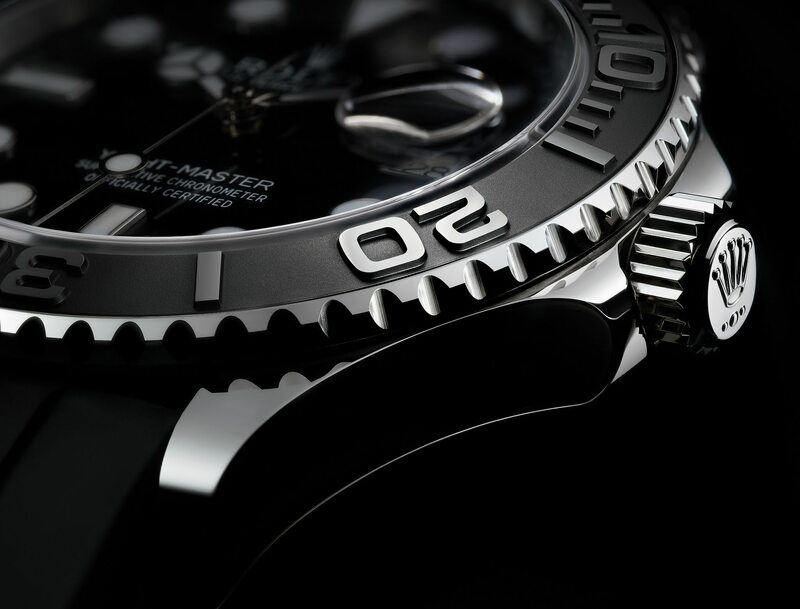 The Rolex Daytona on his wrist is no ordinary watch. 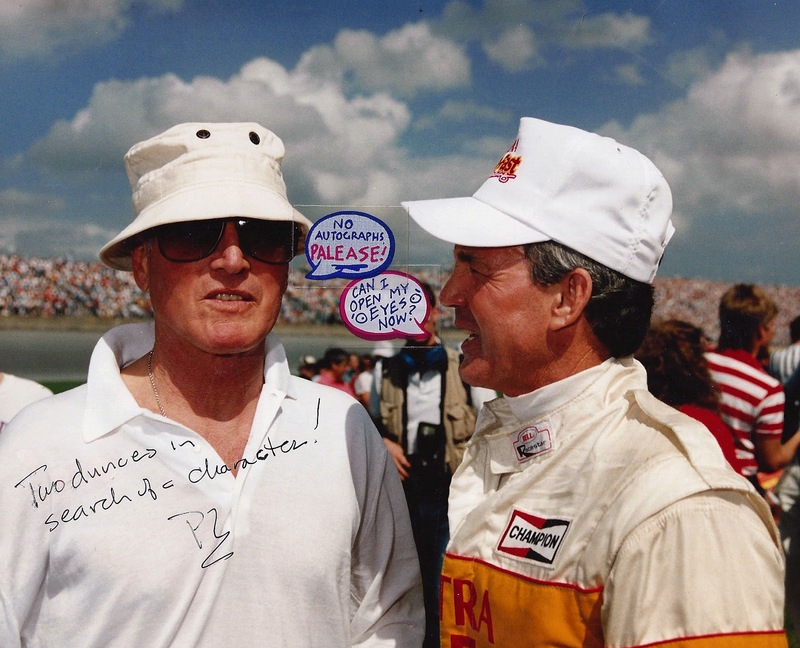 Stan Barrett's best friend, Paul Newman gave him that Daytona especially for the occasion of his attempt to break the sound barrier. 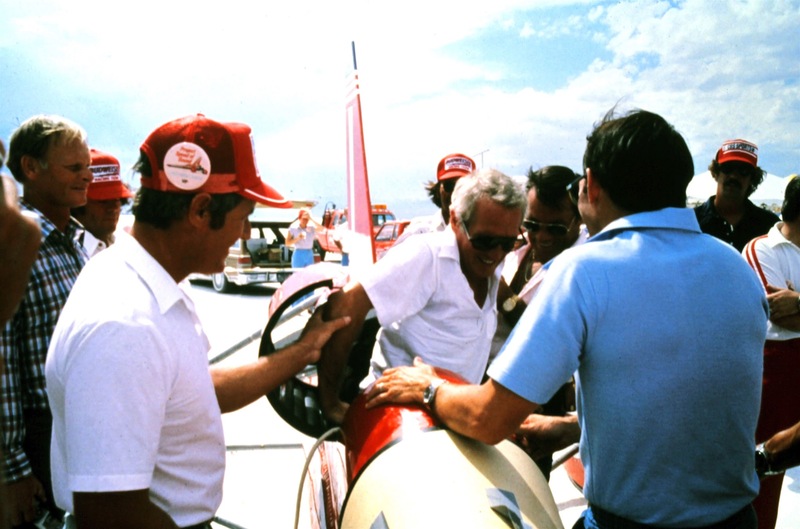 In the photo below we see Stan Barrett on his Budweiser rocket car, sporting his red K-Swiss sneakers just after shattering the Speed Of Sound Barrier, and notice he is still wearing two Rolex watches on his left wrist. 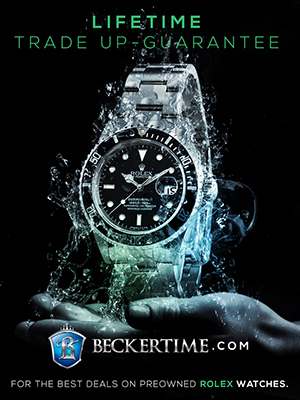 On Jake's Rolex World I specialize in sharing the stories behind the stories, and this is no exception. In order to really understand this story, I recommend first watching the two compelling video documentaries below, as they offer an amazing historical context. 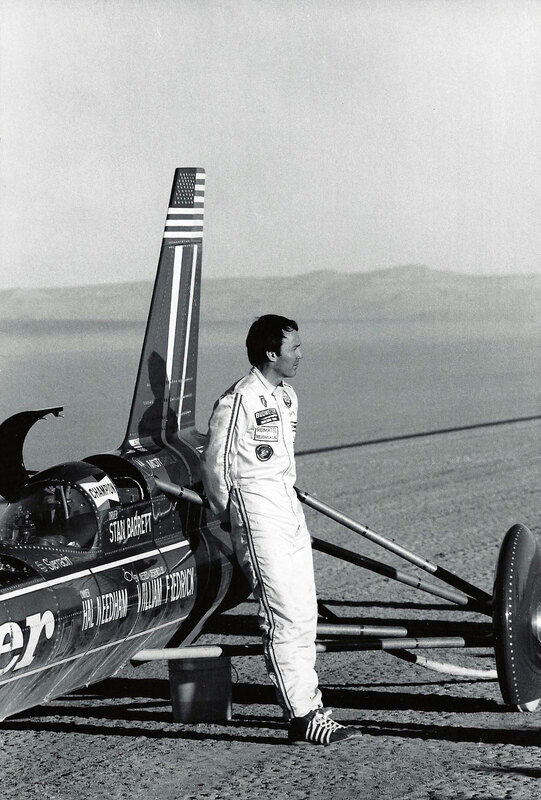 The first video below showcases live video from the Stan Barrett's event when he drove the Budweiser Rocket Car past the speed of sound–right into the history books. I highly recommend watching this fascinating documentary. 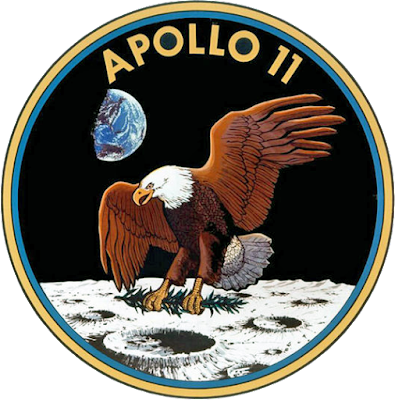 The next video below shows the live coverage of the event from 1979, and I highly recommend watching it as well. 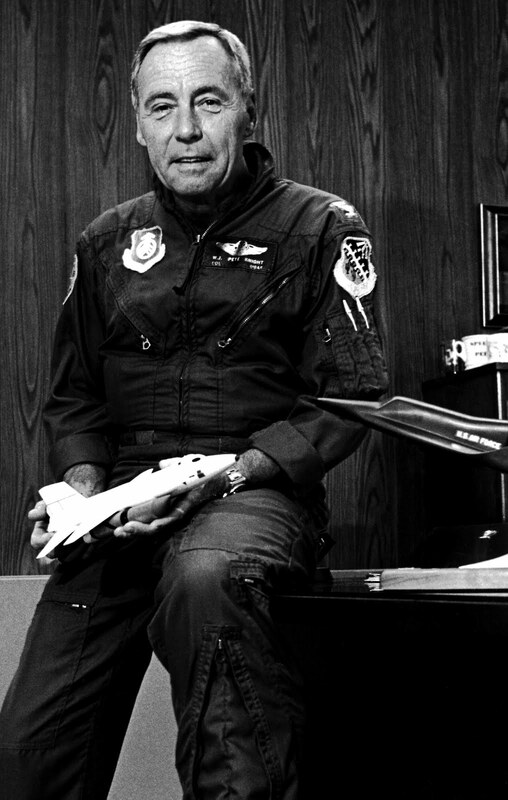 It is particularly fascinating to gain Chuck Yeager's insight and passionate perspective. 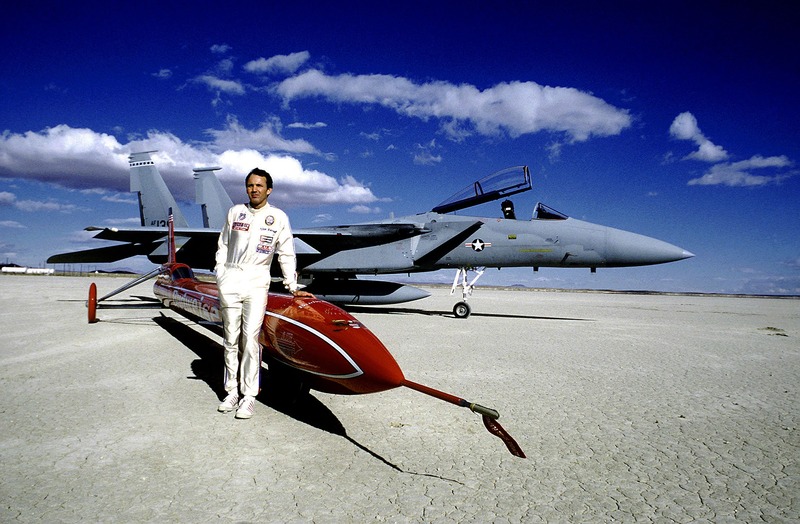 Stan Barrett is pictured below just after becoming the first man to break the sound barrier on land, and that is no other than Chuck Yeager standing over him. 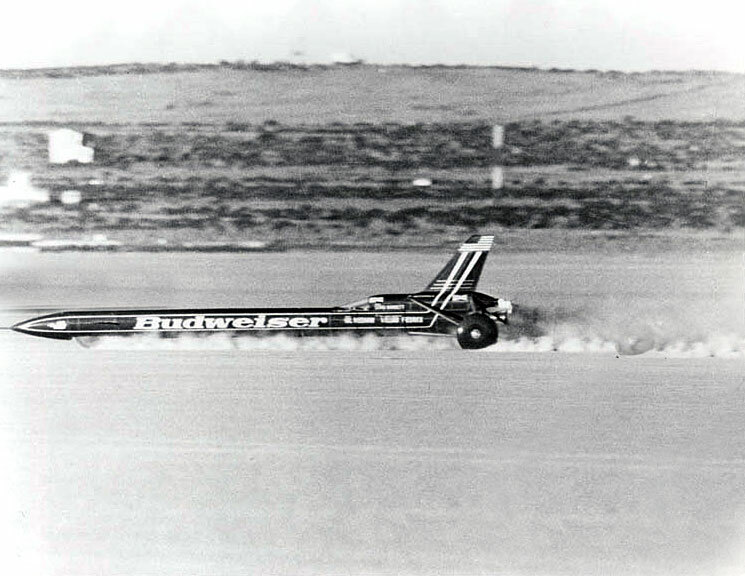 Stan was recorded driving at 739.666 Miles Per Hour in the Budweiser Rocket car in 1979. 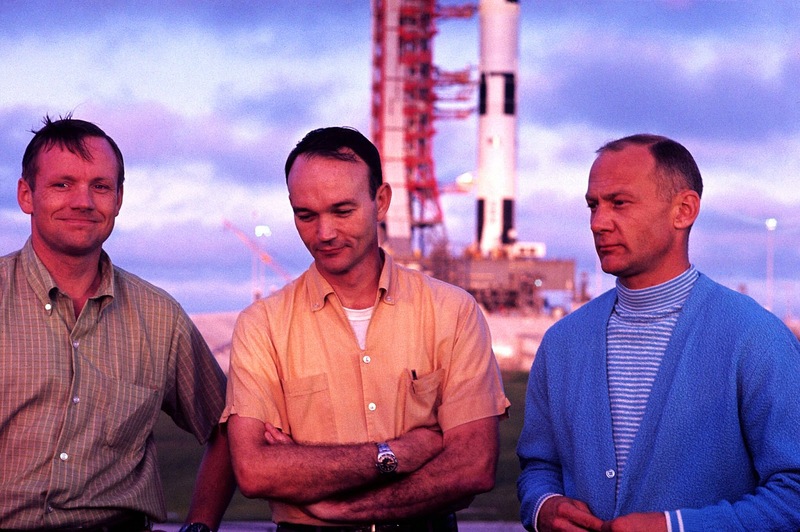 Many other famous Rolex wearing speed demons were also present to witness his achievement, not just Chuck Yeager, but also, Apollo 11 astronaut Michael Collins, and William J. 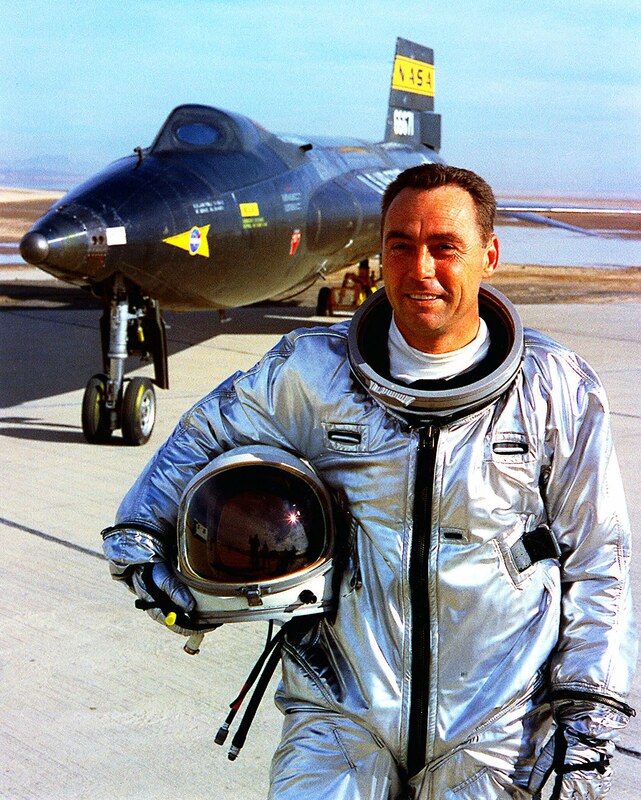 "Pete" Knight, who, to this day holds the all-time speed record for level flight, when he flew an X-15 at Mach 6.7. 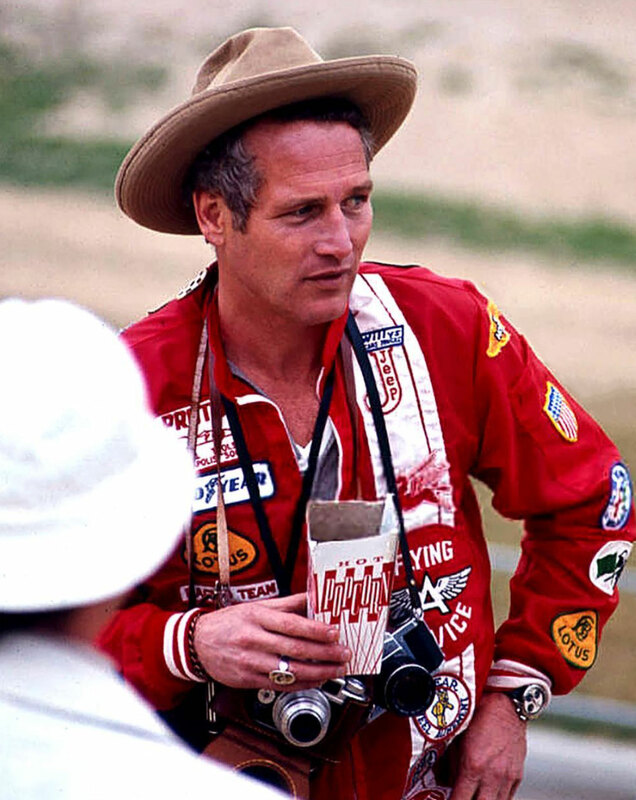 Paul Newman (pictured below wearing his famous exotic cream dial Rolex Daytona) gave Stan the Rolex Daytona he wore on his record-setting speed run in the Budweiser Rocket Car, but refused to attend, because he didn't want to see one of his best friends killed in a rocket car. Dating watches in not always easy and can be a slippery slope, just like dating in real life. 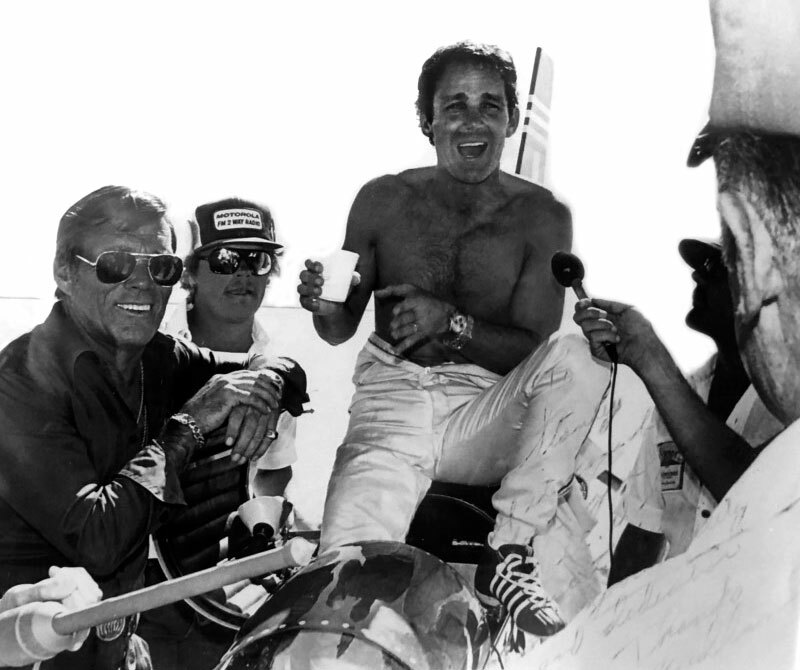 It is believed Paul Newman received his Paul Newman #1 Daytona as gift from his wife, Joanne Woodward after he fell in love with racing cars, which was the result of him starring in the racing move named Winning in 1969. 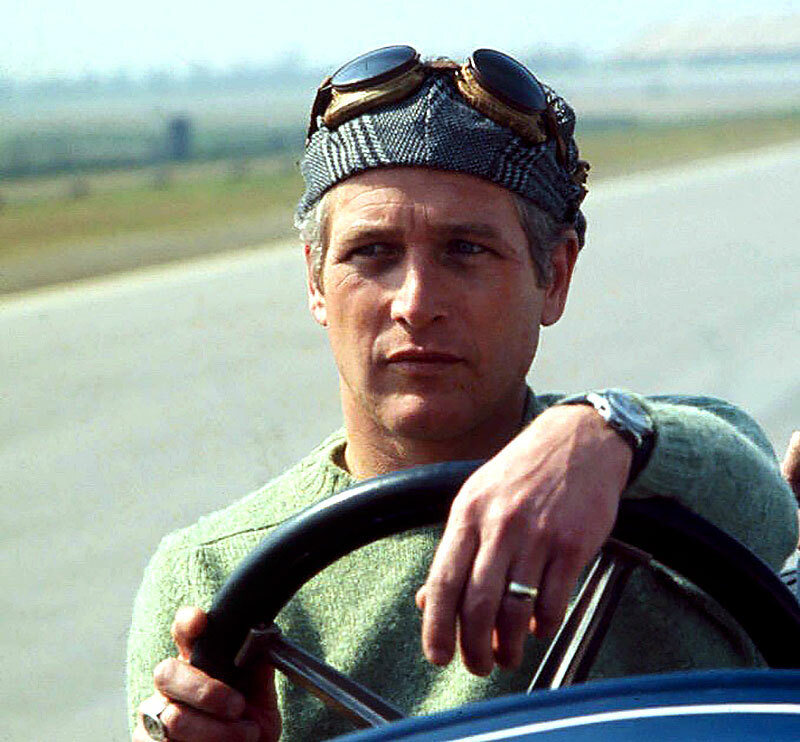 The best scholarship on dating when Paul Newman got his Daytona comes from Nick Gould's recent discovery of Paul Newman wearing his famous namesake Rolex Daytona at the latest in April of 1971 when he shot the racing documentary titled "Once Upon A Wheel" for ABC Television. 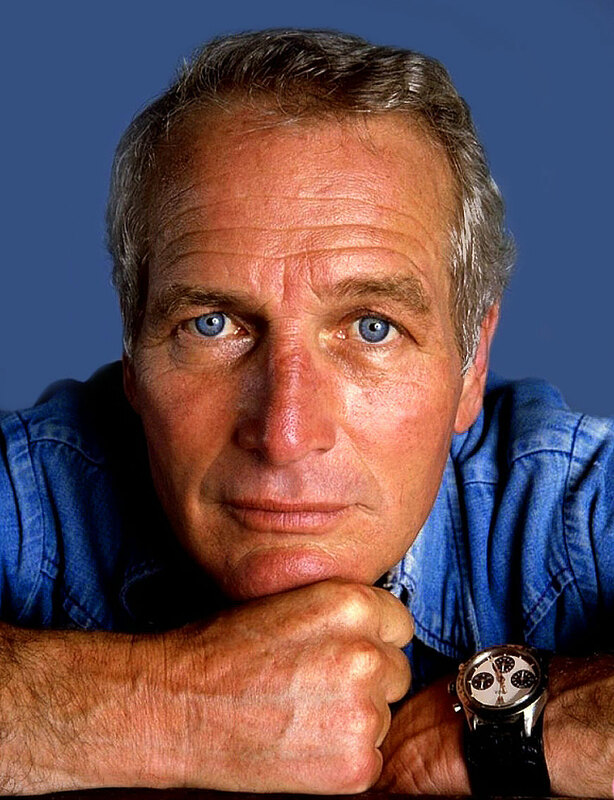 The publicity shot below of Paul Newman wearing his Rolex Daytona #1 was taken on the set of the documentary. 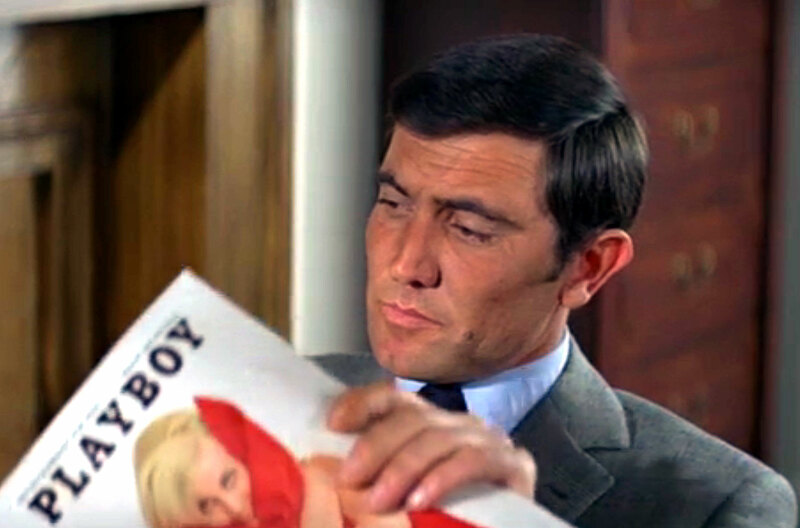 It is crystal clear Paul was wearing his Daytona in 1971, as the show aired first on April 18, 1971. 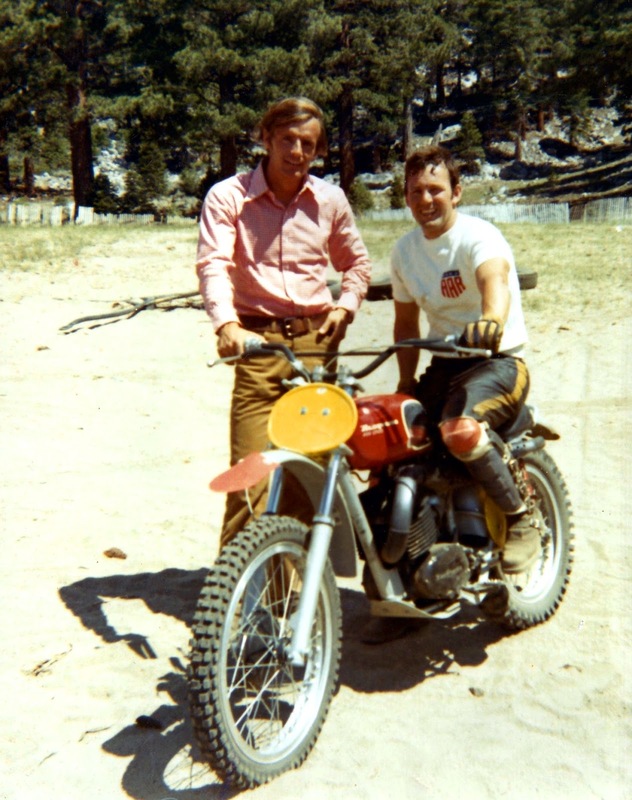 Nick's research shows Paul was wearing his Daytona in 1970 as well, as seen in this photo from 1970. 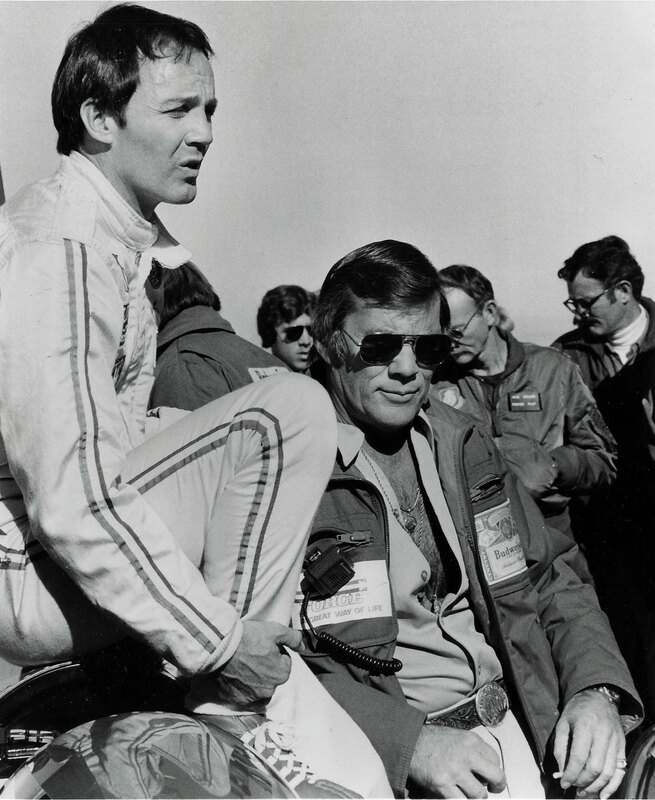 The photo below was taken on Stan Barrett's birthday in which we see Stan's son, Stanton Barrett, who today is a famous NASCAR race car driver and stuntman. 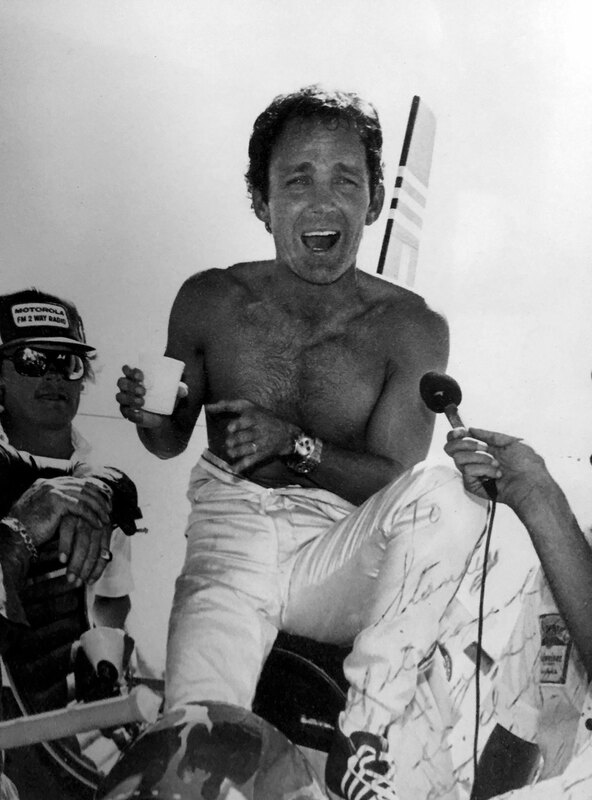 Paul Newman was also Stanton Barrett's Godfather, and in the photo below we see Stanton Barrett wearing his father's Rolex Daytona that Paul Newman gave him back in the early 1970s. 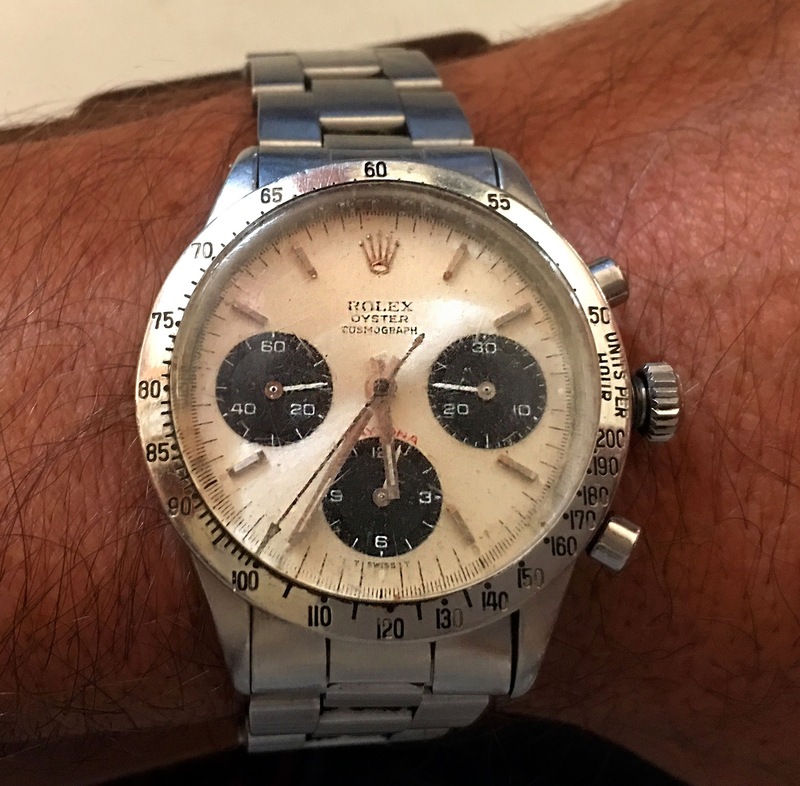 Stanton Barrett wore the Rolex Daytona Paul Newman gave his father until recently when the Barrett's learned how valuable the watch is, and now the Rolex Daytona lives in a Safety Deposit box. It's difficult to guess how much this actual Paul Newman Daytona #2 is worth today, but I think its worth a fortune!!! Stan Barrett is pictured below hugging his son Stanton Barrett who is wearing his Paul Newman Daytona #2. 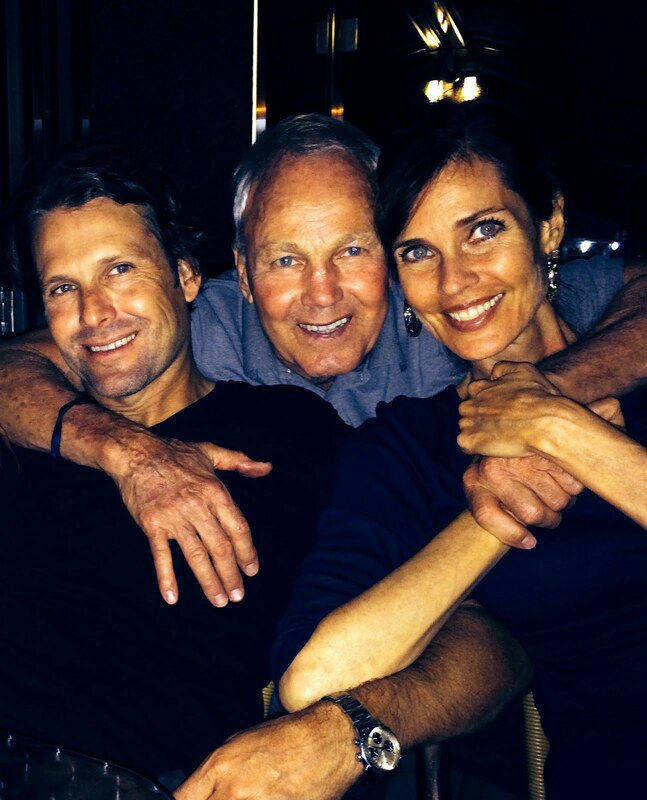 Stan Barrett is pictured below with his son Stanton and Supermodel Carol Alt. 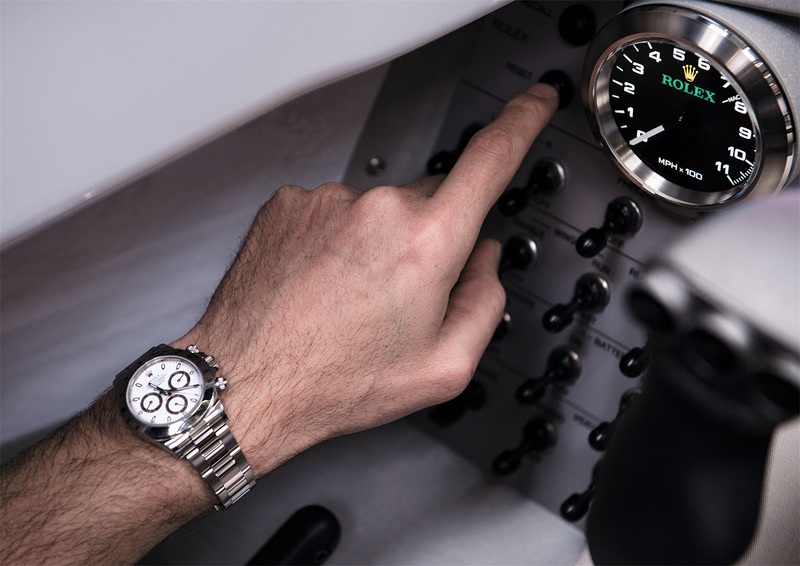 Stanton Barrett took the exclusive photo below of the Rolex Daytona his father wore when he set the land speed record. The Paul Newman Daytona #2 was a good luck charm gift from Paul Newman to his best friend, Stan Barrett in the early 1970s. 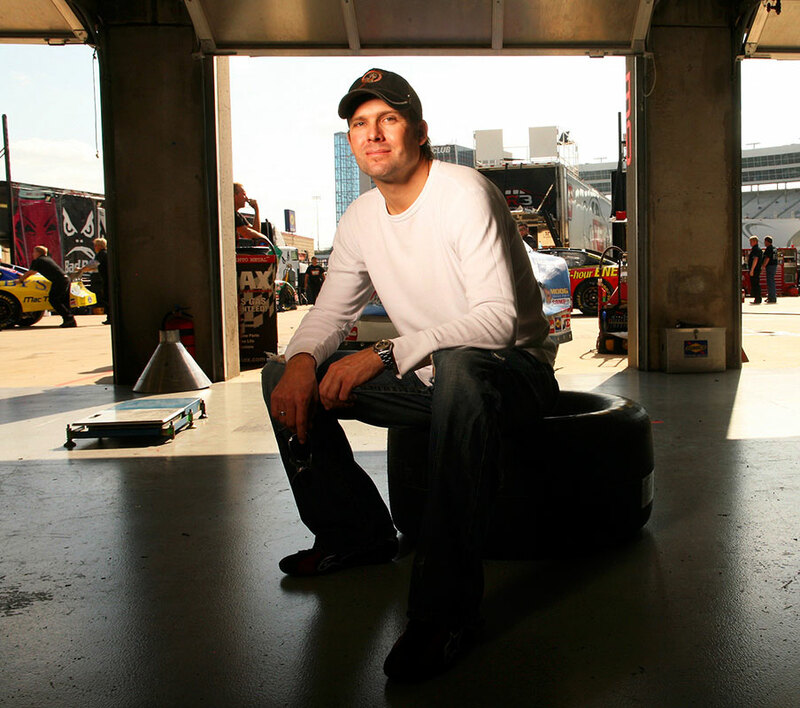 Stanton Barrett Barrett is pictured below wearing his Paul Newman, Paul Newman Daytona. 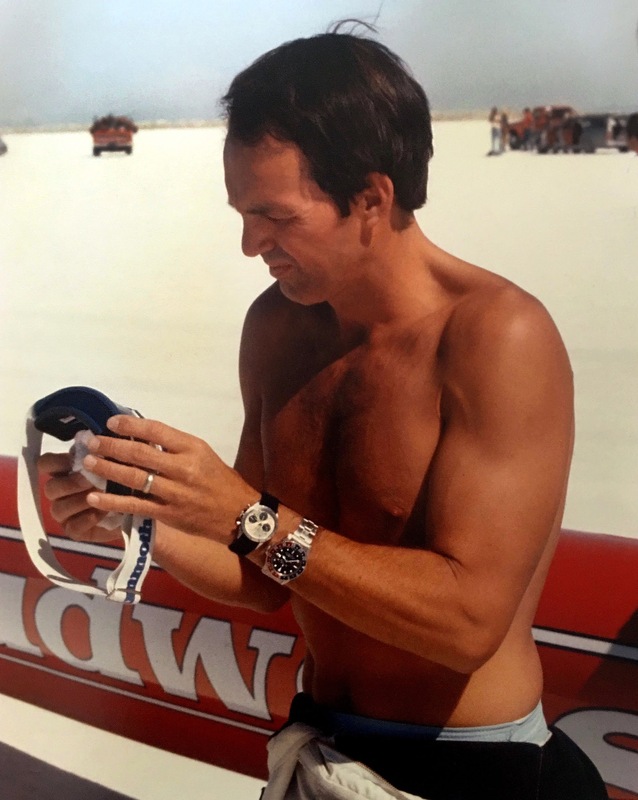 Ironically, Stan Barrett told me that Paul Newman took this Rolex Daytona watch off his wrist when he have it to him back in the early 1970s around 1972 to 1973. 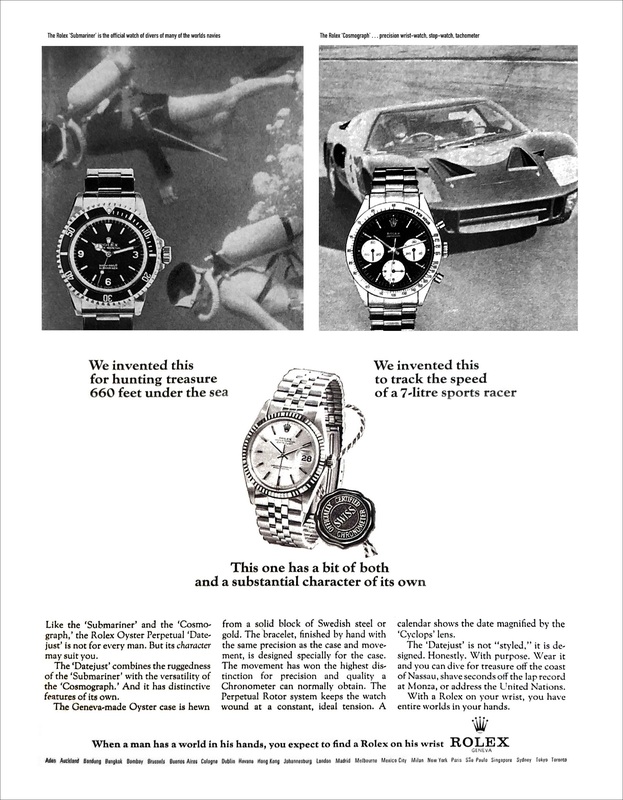 This means Paul Newman had two Rolex Daytona models back in the early 1970s. 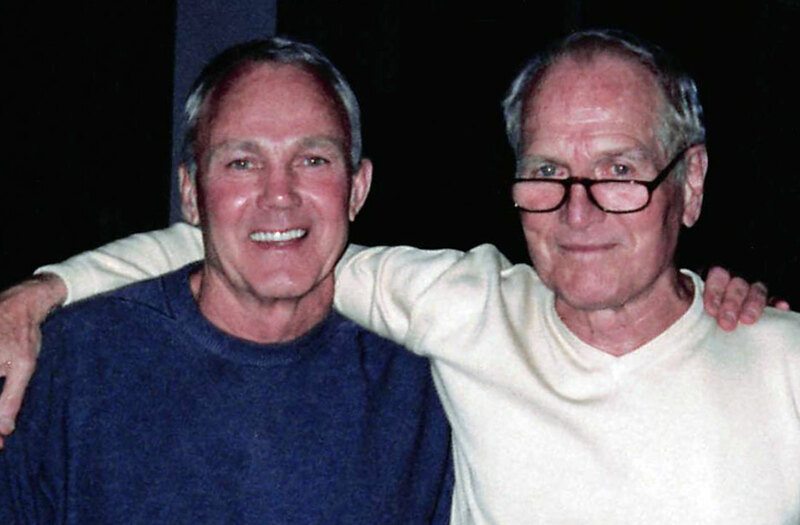 Stan Barrett and Paul Newman were best friends for four decades. 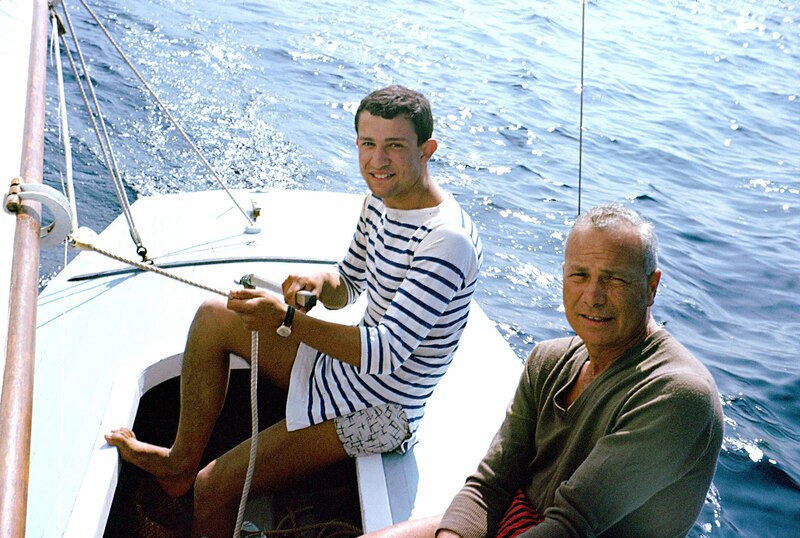 Stan told me, "Paul and I were as close as two straight guys could be for over forty years, sharing many wonderful and fun times, and a few challenging days as well." 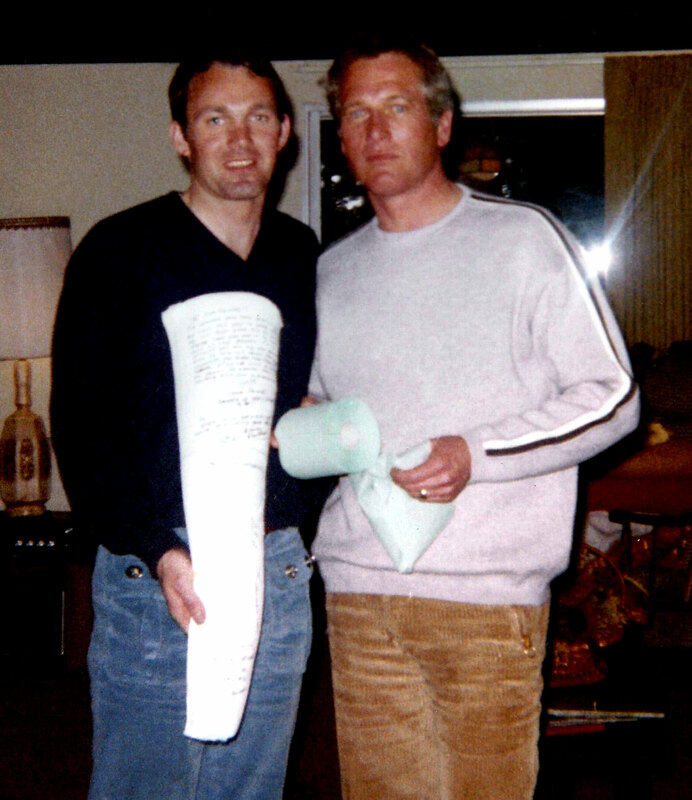 The photo below of Stan Barrett and Paul Newman was taken in the early 1970s and shows Stan Barrett holding his cast which he cut off so he could go skiing with Paul Newman. 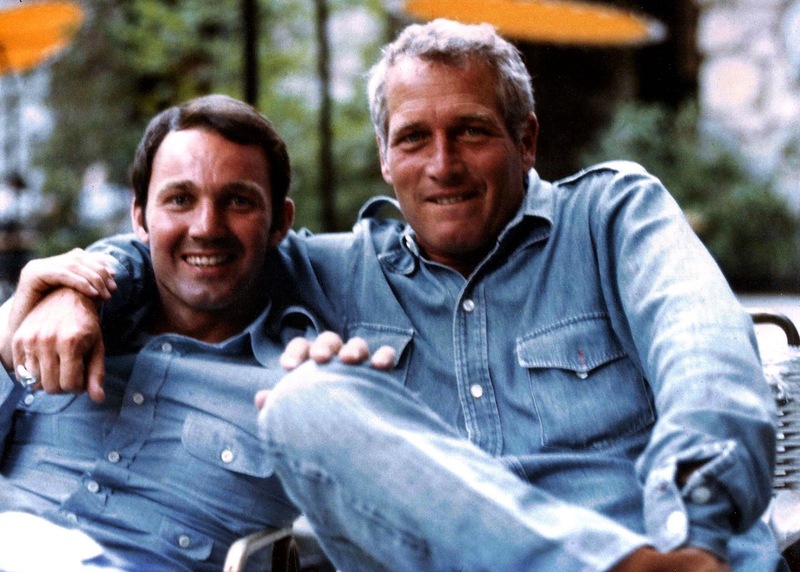 Stan Barrett and Paul Newman first met, when Stan began as Paul Newman's stunt double. Paul was 18 years older than Stan, and used to tease him by saying Stan was his illegitimate son since the looked and were built similar. The photo below was taken in Yosemite in 1975. In the next set of photos below, we see Paul Newman climbing into the Budweiser Rocket to check it out. These photos were taken at Bonneville. In the next image below we see Stan Barrett with his back to us, as he helps his best pal, Paul Newman climb in the Budweiser Rocket. 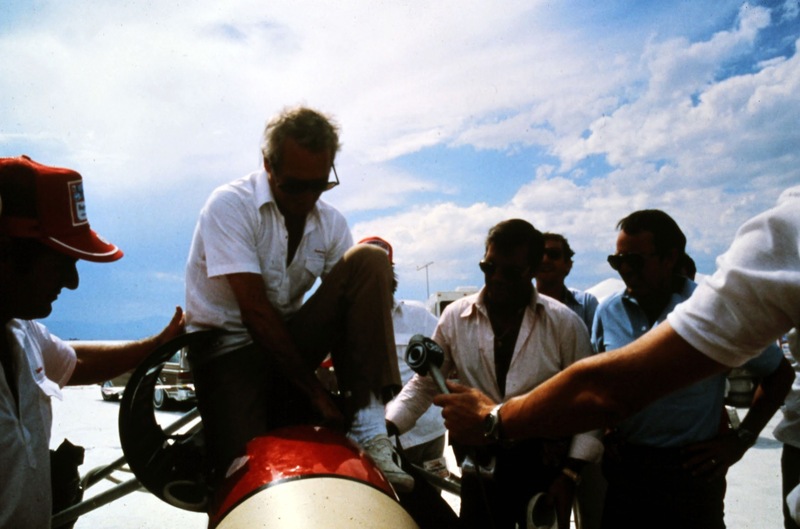 In the photos, we see Paul Newman, who was an accomplished race-car driver struggling to get in the Budweiser Rocket, which demonstrates just how challenging it was to get in and out of. 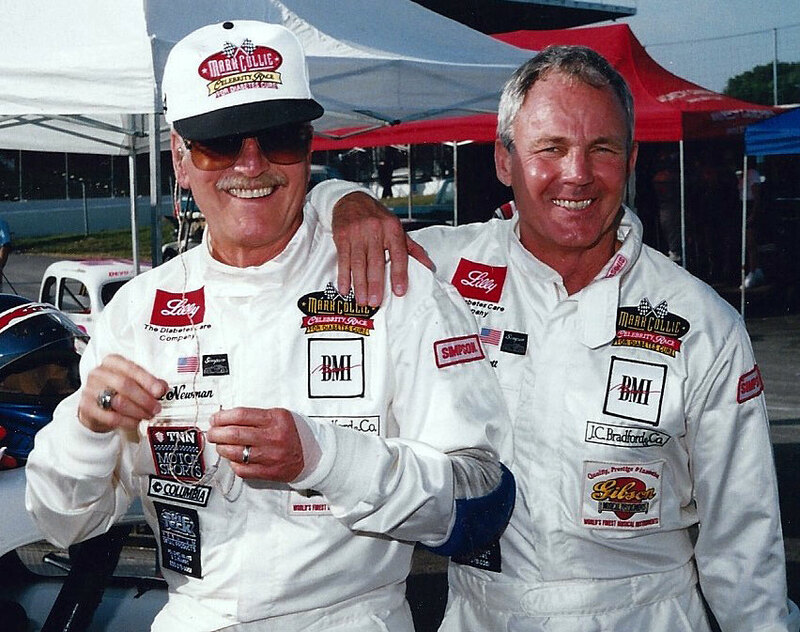 In the next two images taken at the same event, we see Stan Barrett and Paul Newman sharing some smiles. Stan Barrett said to me in an interview, "We were like father and son in some ways due to our 18 years age difference, but more than anything we were just great pals. We would spend countless hours talking about everything you could imagine." This next set of images is not only interesting but offers rare insight into Paul Newman's sense of humor. 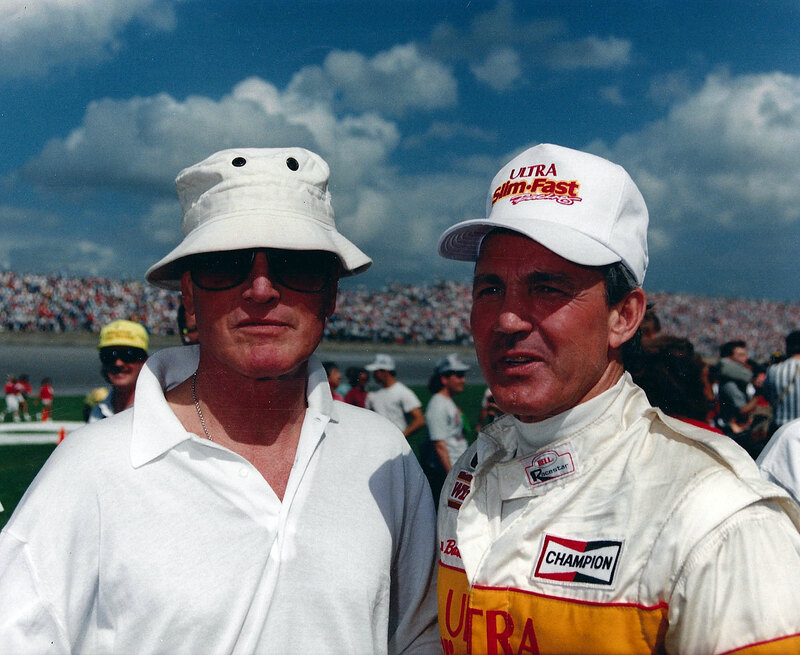 In this first image, we see Paul Newman and Stan Barrett hanging out at a NASCAR racing event where Stan was racing. 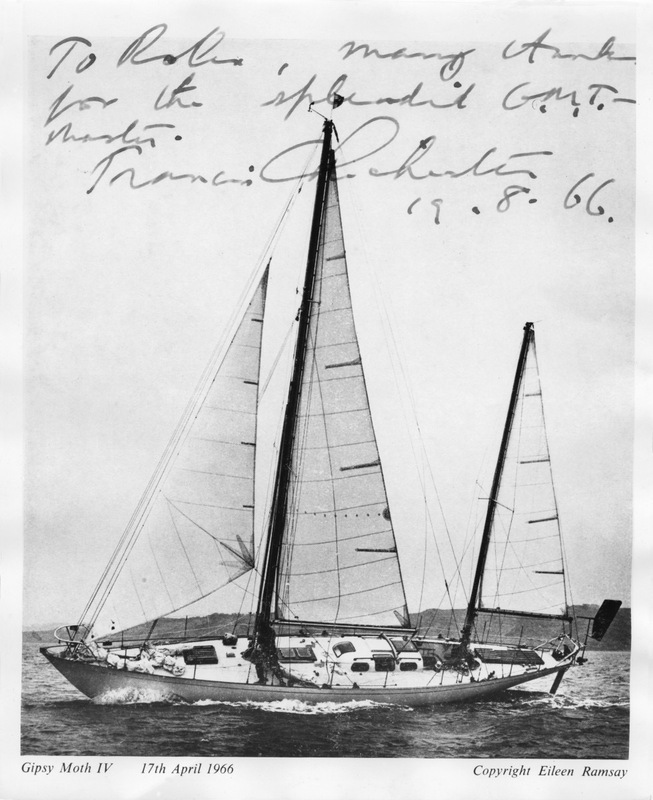 Paul Newman sent the signed photograph below to Stan Barrett as a signed memento. It is really funny if you think about it. Stan is saying "Can I open my eyes now? ", and Paul's character says "No Autographs PALEASE!" Then Paul signed it, "Two dunces in search of character!" 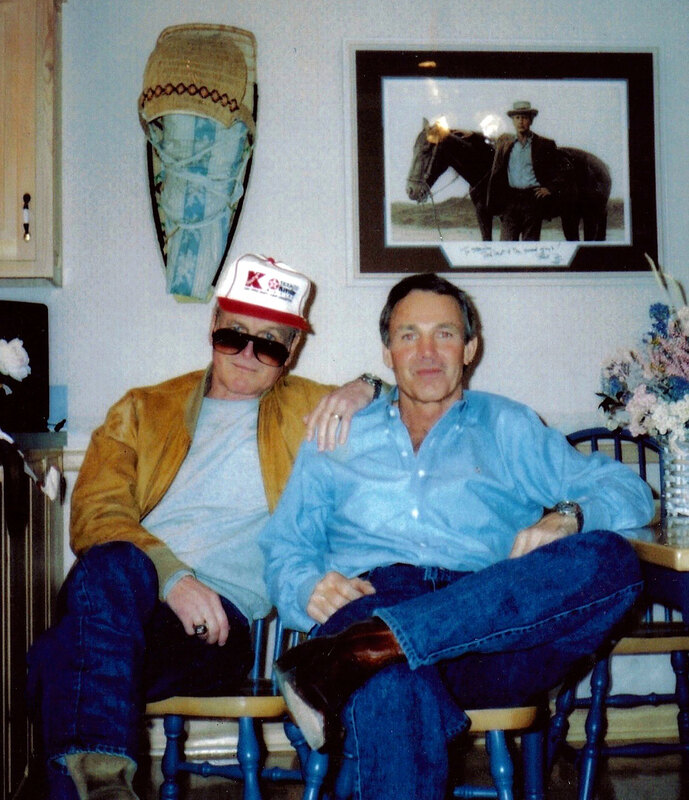 I believe the photo below is one of the last photos of Stan Barrett and Paul Neman taken before Paul passed away. 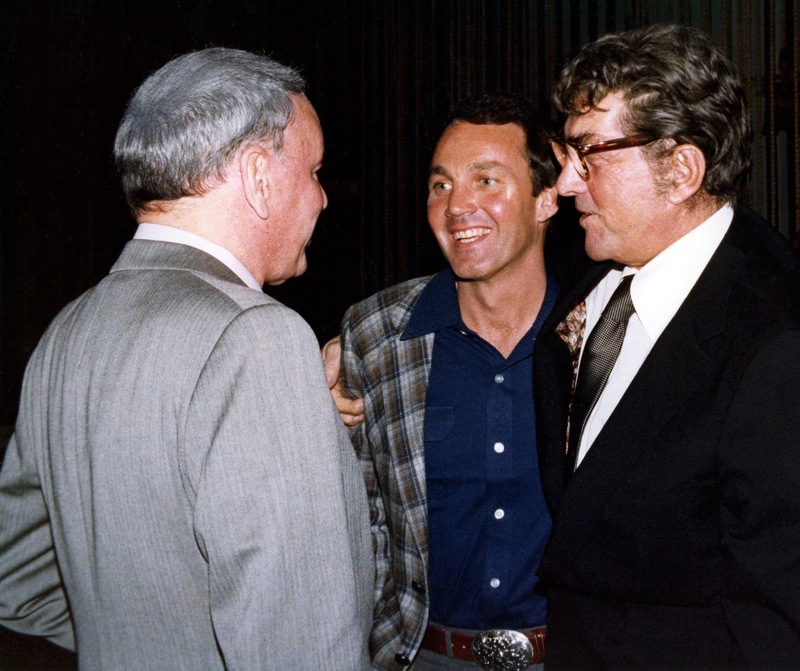 Stan told me "I really miss Paul and Hal Needham as they were my closest friends. Actually, they were more like kin." 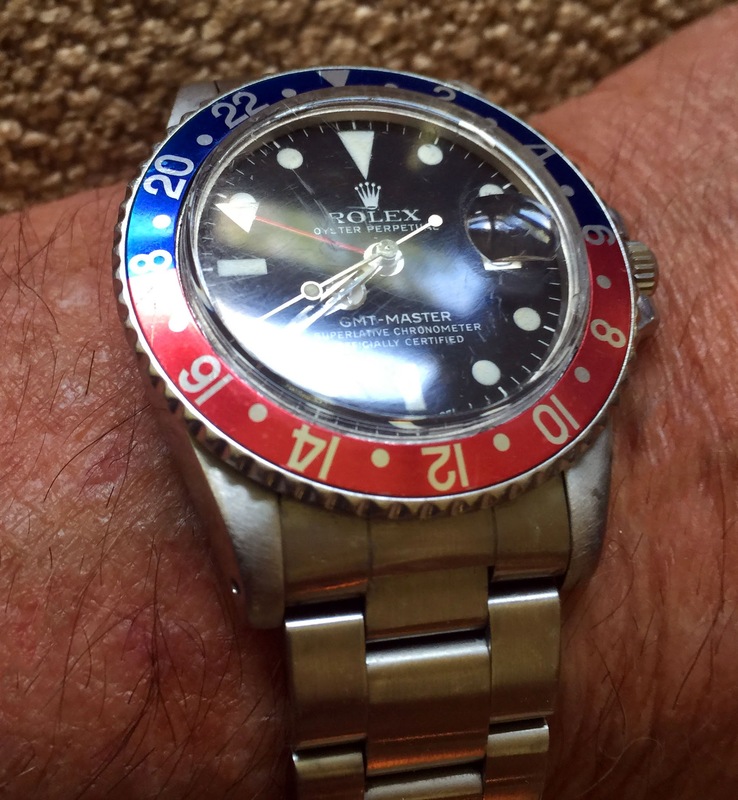 The photo below is a recent close-up wrist-shot of the GMT-Master Paul Newman gave Stan Barrett, which Stan still wears. 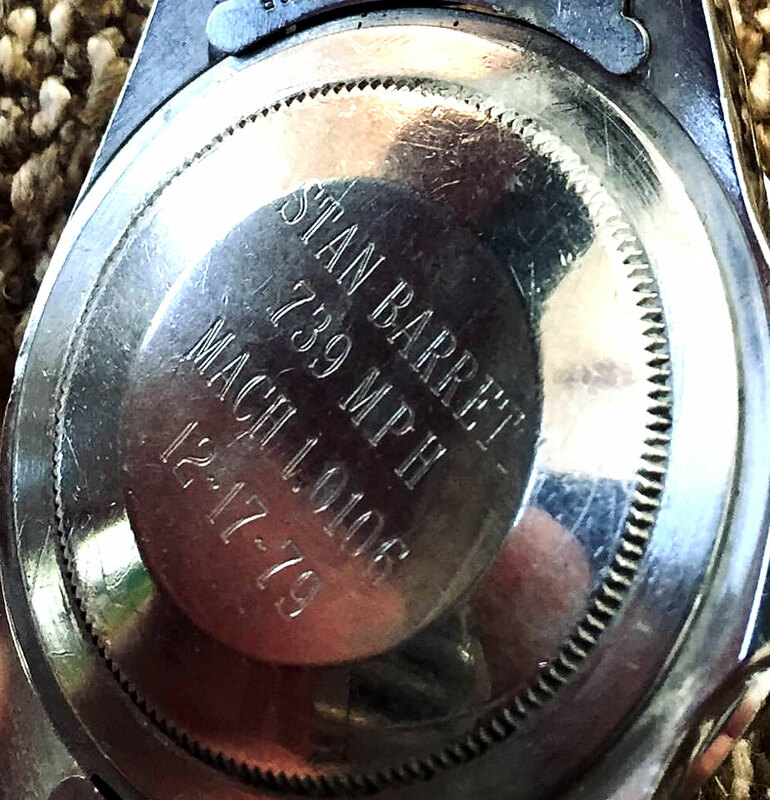 The photo below, taken by David Concannon shows the case back engraving on Stan Barrett's Pepsi GMT-Master which reads"
"STAN BARRET, 739 MPH, MACH 1.0106, 12-17-79." 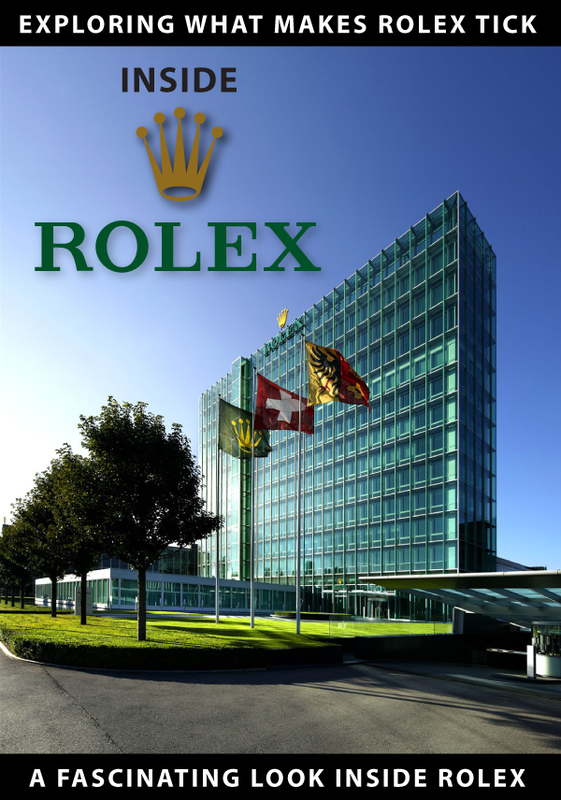 Rolex makes many famous and iconic watches, like the Day-Date, Datejust, Milgauss, and Yacht-Master. 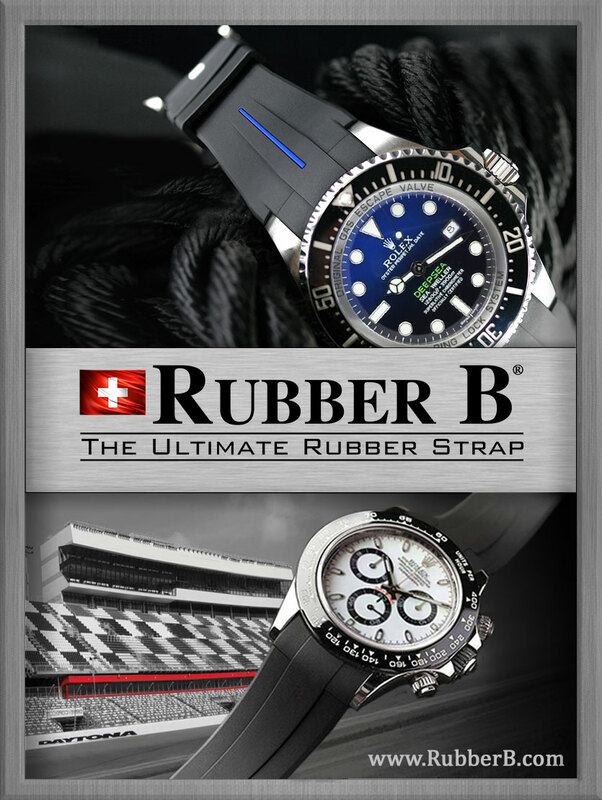 They also make the Rolex GMT-Master which historically has been a pilots watch, as well as the Rolex Daytona Chronograph, which was originally intended to be a racing watch. 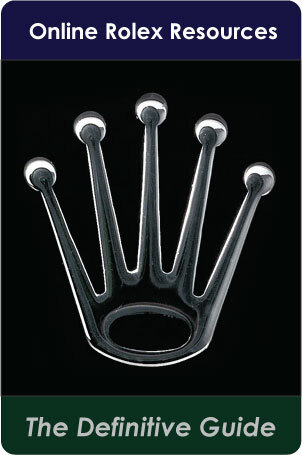 So a good question is what do the Rolex GMT-Master and Rolex Daytona have in common? Probably much more than most people realize, and that is kind of what this story is about, and I will go more into this later. So now that you know Stan Barrett's story, lets go deep— really deep—into the story behind the story. 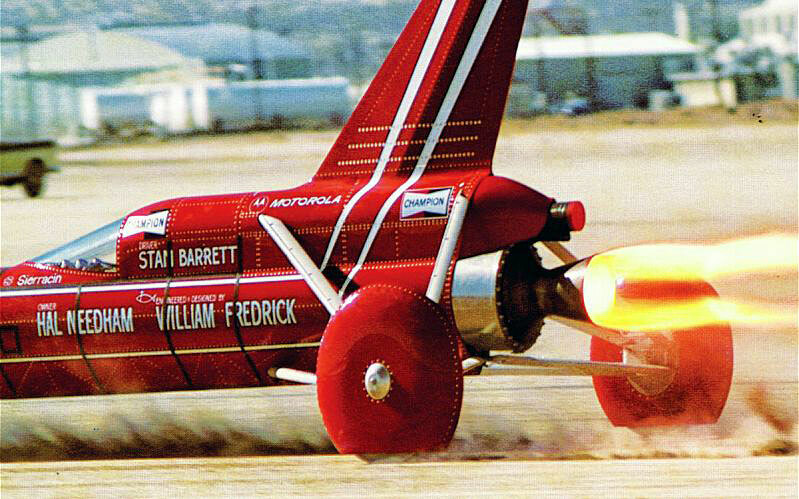 On the surface, with Stan Barrett we see a man who set a number of world land speed records, back, to back, to back, but what does this all mean? 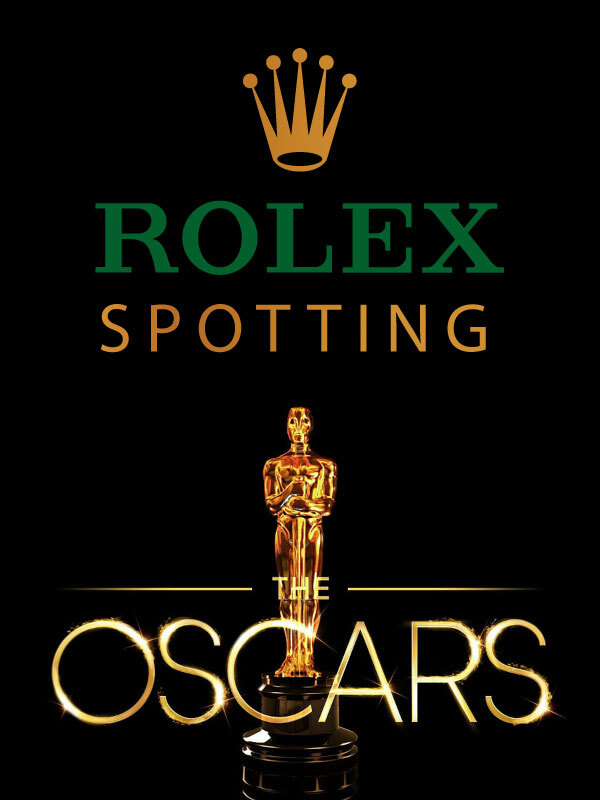 In order to really understand, we need to get in The Rolex Time Machine and go back to the early 1920s. 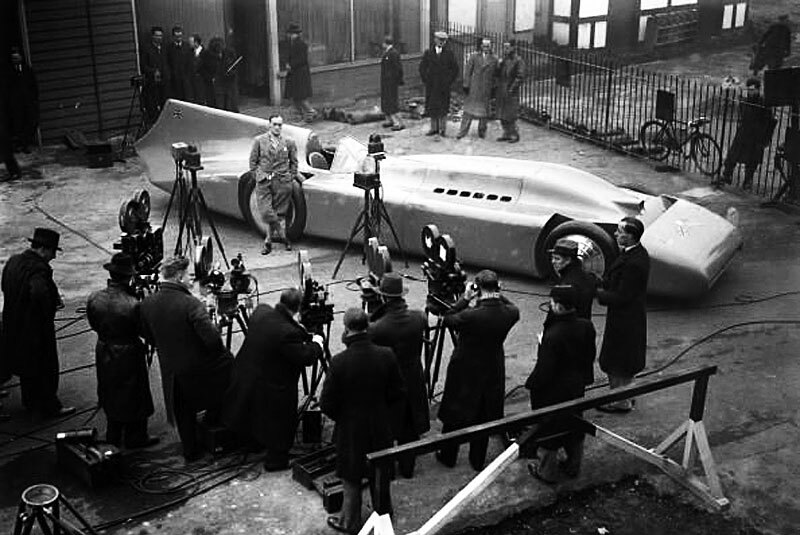 Enter, Sir Malcolm Campbell, known famously as The Speed King. 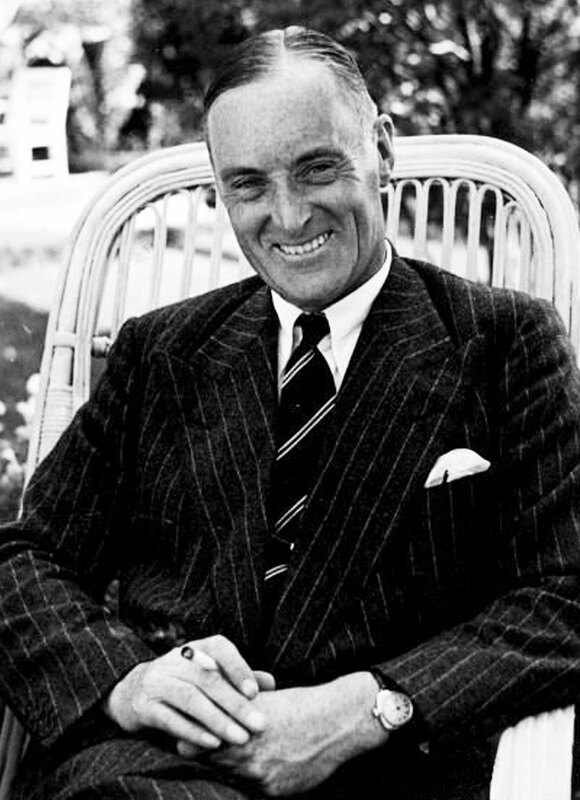 Sir Malcolm Campbell was English and was an early pioneer in setting land-speed records. 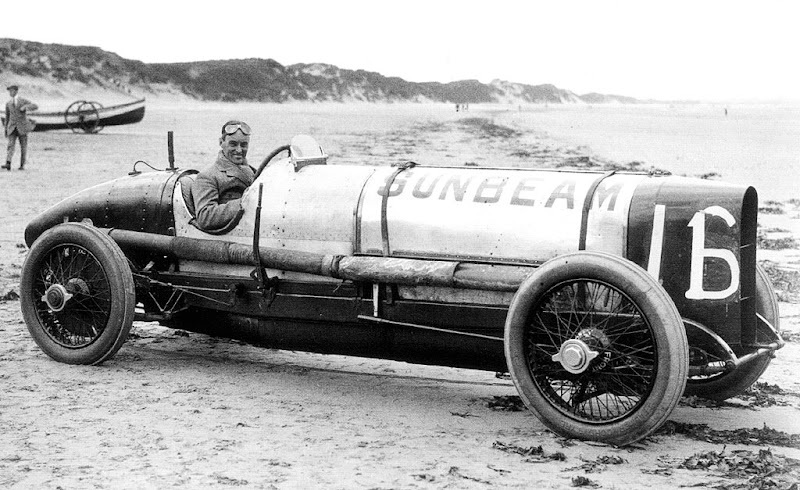 In the photo below we see Malcolm Campbell in 1922 at Saltburn Sands in North Yorkshire, Wales in his Sunbeam V12, which had a 350 horsepower engine. He proudly named this Sunbeam, Blue Bird. 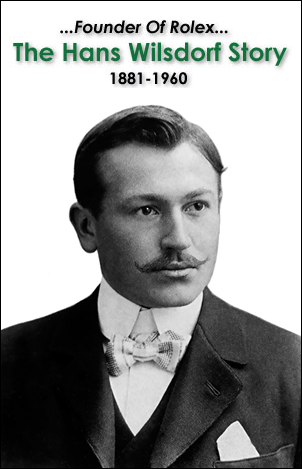 On June 17, 1922 he set his first record when he drove it at 138.08 miles per hour. 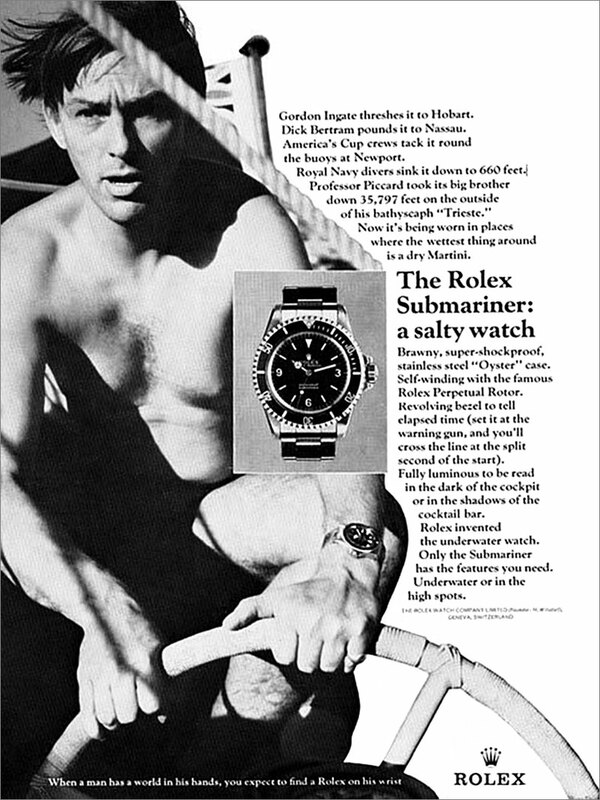 Sir Malcolm Campbell was a Rolex fanatic and we see him below wearing his Rolex Oyster with a cushion case [Think Early Panerai Reference 3646 Art-Deco style]. 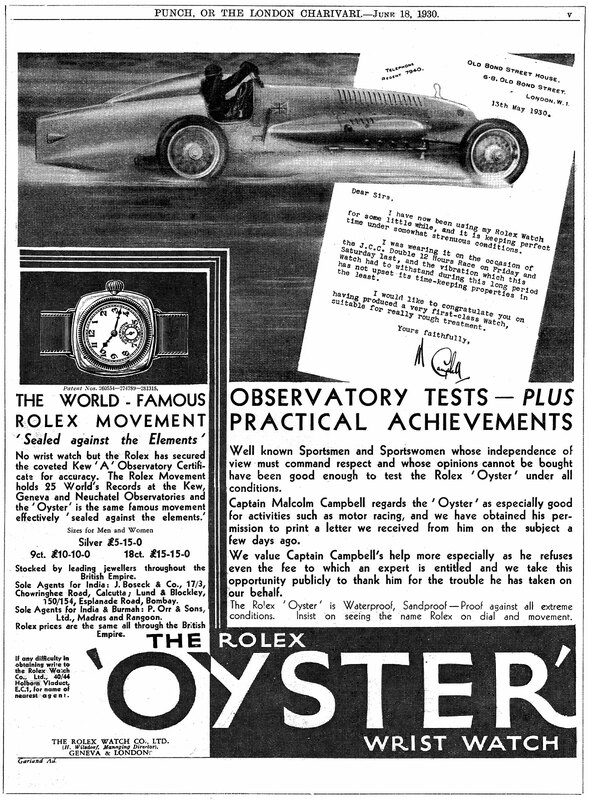 Rolex founder, Hans Wilsdorf was so impressed with Sir Malcolm Campbell's achievements, he offered him to become the first male Rolex Brand Ambassador, and pictured below we see a 1930 Rolex magazine ad featuring Sir Malcolm Campbell. 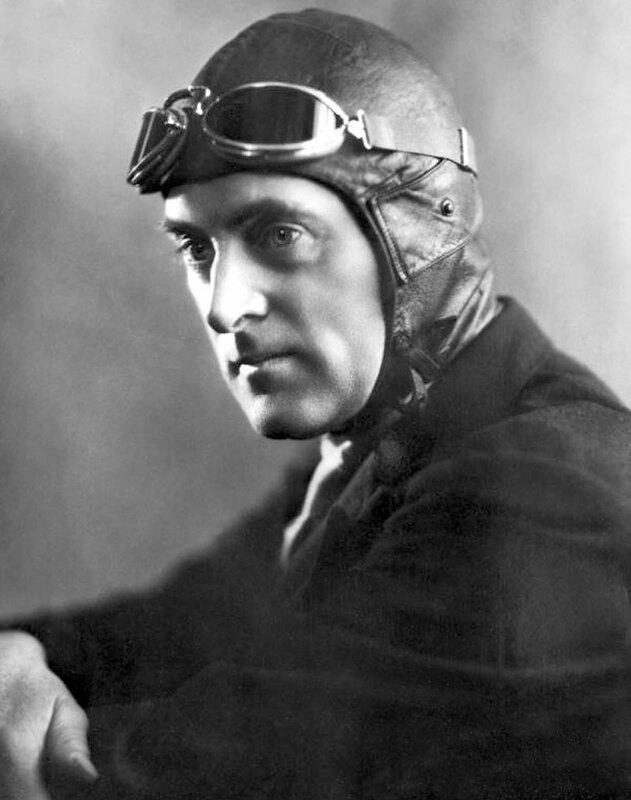 Sir Malcolm Campbell set one land speed record after another, and in his later years of record setting, ended up in the U.S.A. racing his significantly updated Blue Bird up and down Daytona Beach in Florida. 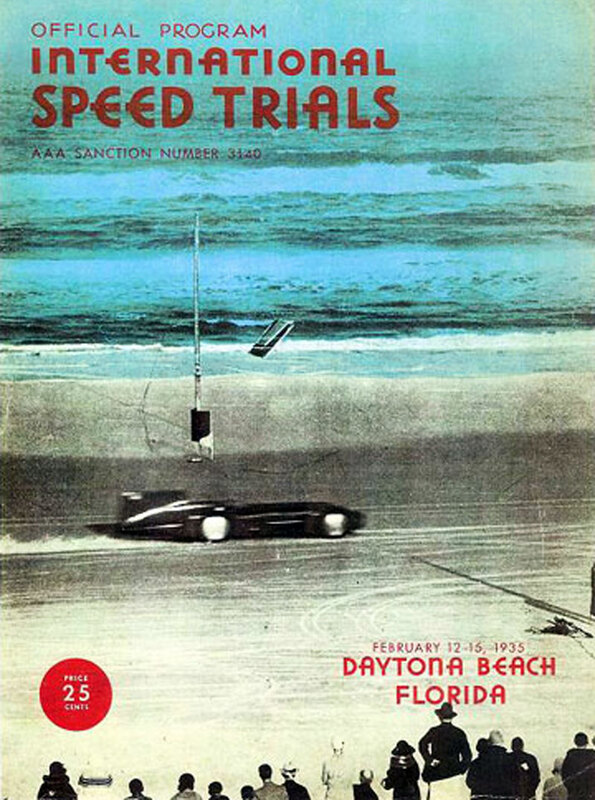 The video below shows Sir Malcolm Cambell setting a new land speed record on the hard-packed sand of Daytona Beach, Florida. Next in the line of men Barrier Breakers who wore Rolex watches is Chuck Yeager. The singed photo below from Chuck Yeager to Stan Barrett shows Chuck Yeager in front of his P-51 Mustang fighter plane he nicknamed 'Glamourous Glennis'. The photo was taken in England in 1944 at RAF Leiston, when Chuck Yeager was an Ace World War II fighter pilot. 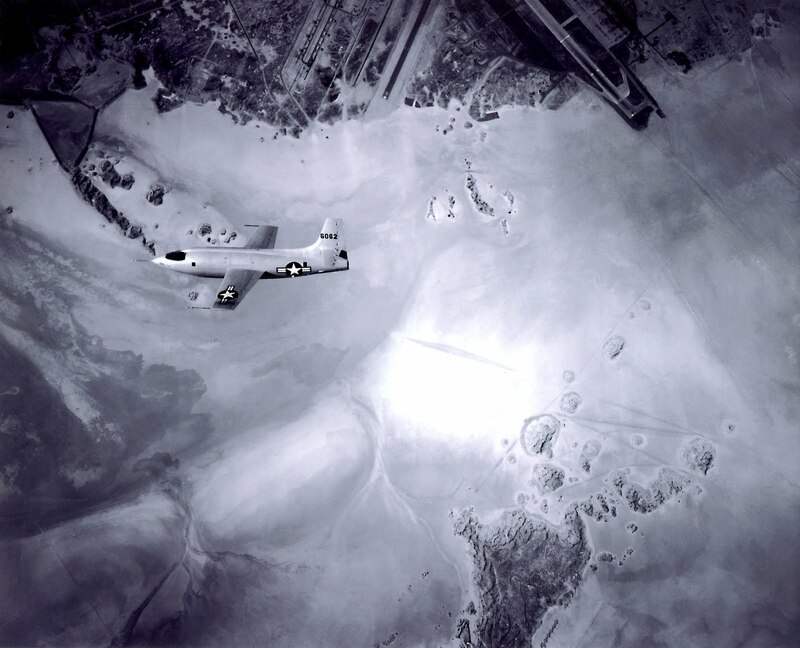 After World War II, Chuck Yeager came back to the United States where he became a United States Air-Force Test Pilot. On a clear California winter day, on October 14, 1947, Chuck Yeager flew into the record books, as the first pilot to Break The Speed Of Sound. He did this flying his X-1 at an altitude of 45,000 feet (13,700 M), and of course, he did this wearing his faithful Rolex Oyster Perpetual. 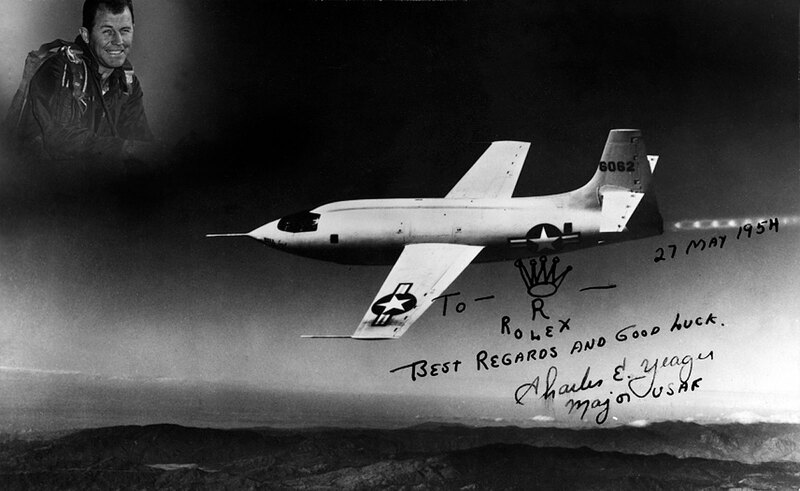 The signed photo below was a gift to Rolex founder Hans Wilsdorf, from Chuck Yeager in 1954. 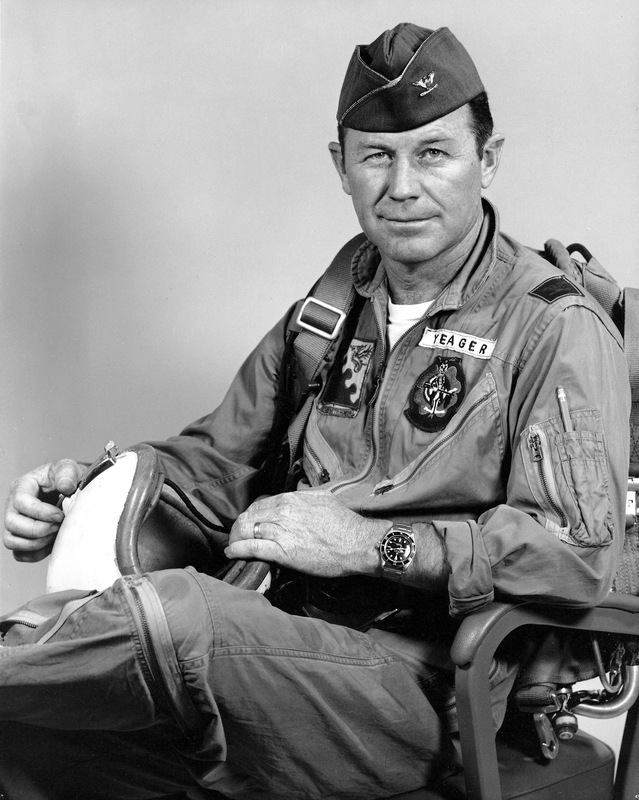 Chuck Yeager is a dyed-in-the-wool Rolex fanatic of the highest order. He was wearing his trusted Rolex Oyster Perpetual the day he broke the speed of sound barrier in 1947, and in the later photo below, taken in the 1950s, we see him wearing his Big Crown Rolex Submariner. 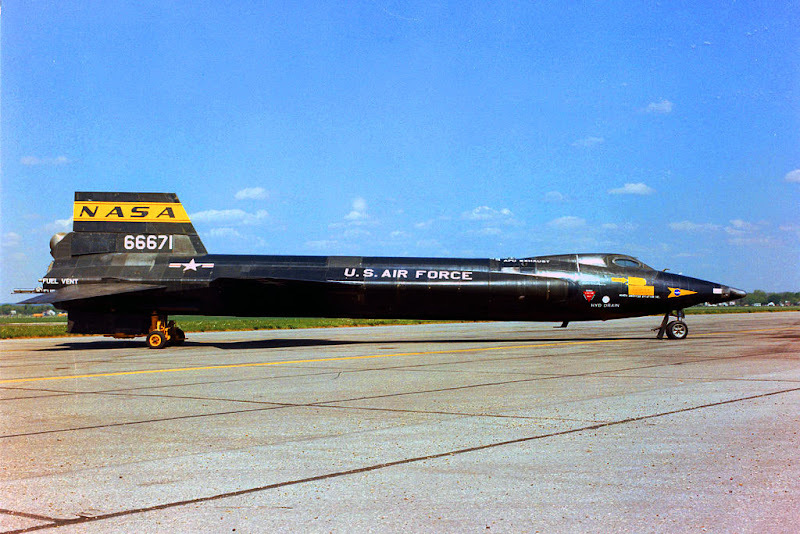 It turns out Chuck Yeager would play a vital role in Stan Barrett's success with breaking the speed of sound barrier on land, many years later at Edwards Air Force Base. 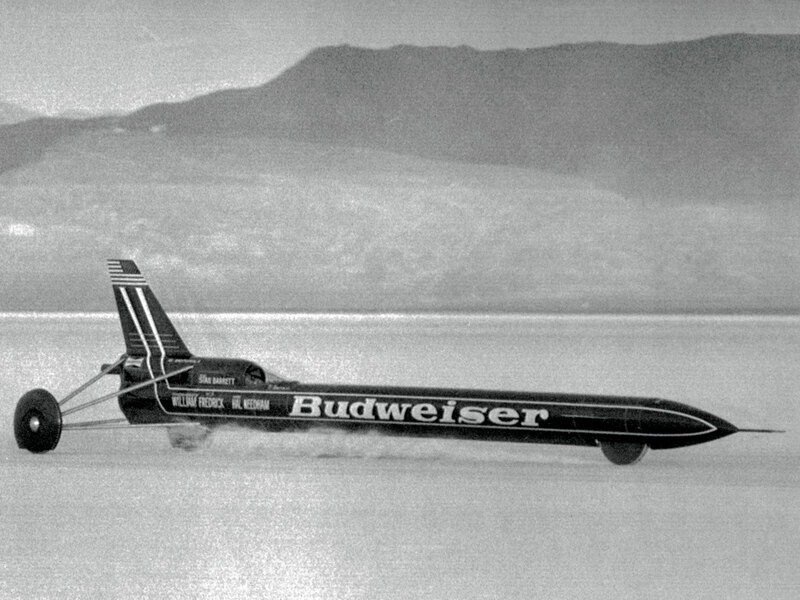 After 9 runs at Bonneville, the Budweiser Rocket kept digging into the unstable salt surface which presented a serious safety issue. 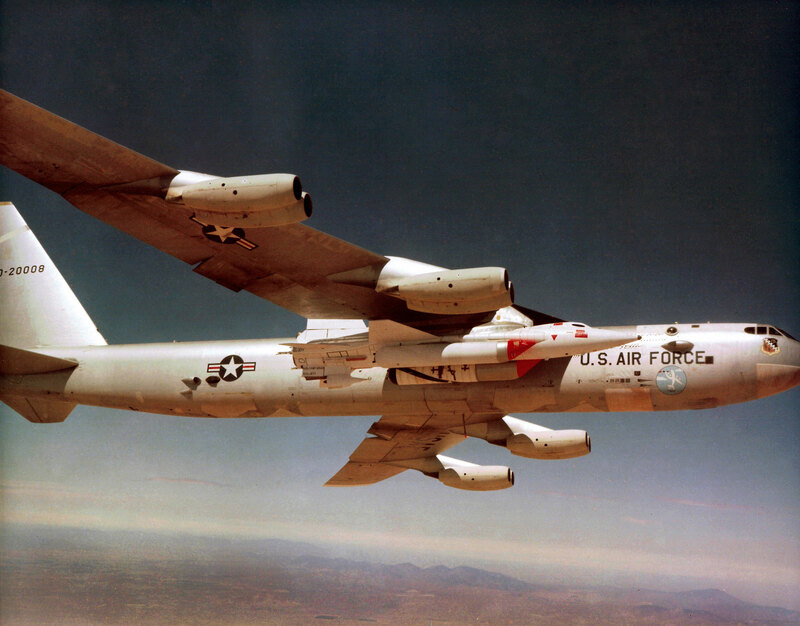 Chuck Yeager was so engaged in the process, he took it upon himself to go directly to U.S. Air Force General Phil Conley who was the commander of the Edwards Test Center to seek permission to move the project to Edwards Air Force base. 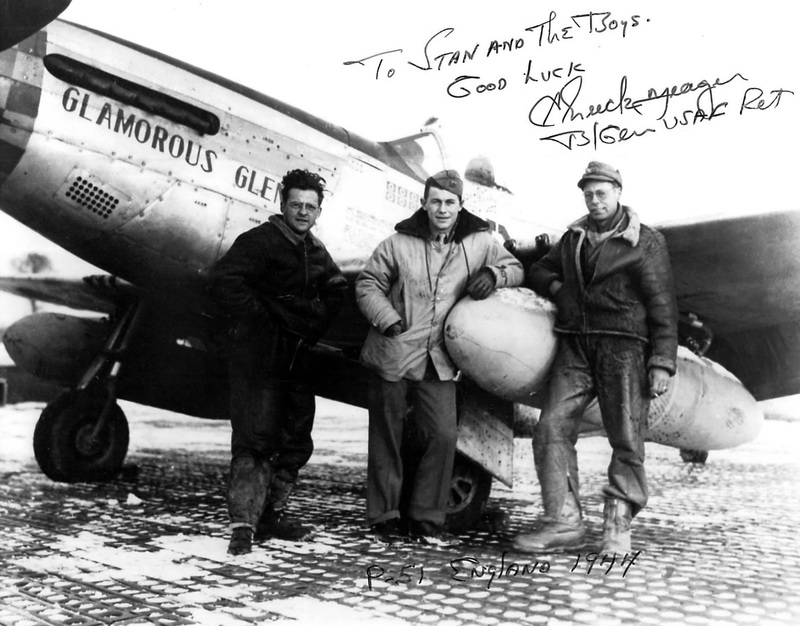 Chuck Yeager was enamored with the project as well as Stan Barrett. So much so, he once said to Stan Barrett, "Driving that beauty looks like a lot of fun!?!!" 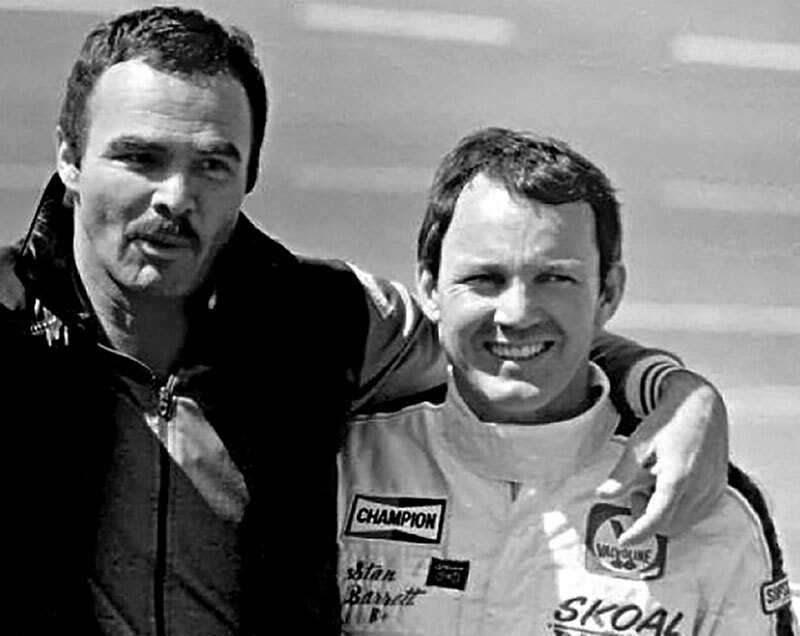 He kept asking Stan when he could drive it, and then he put forth a proposal that he wanted to be the backup driver for setting the speed of sound record in the Budweiser Rocket. He asked to have his name painted on the outside of the Budweiser Rocket—listed as the Backup Driver. 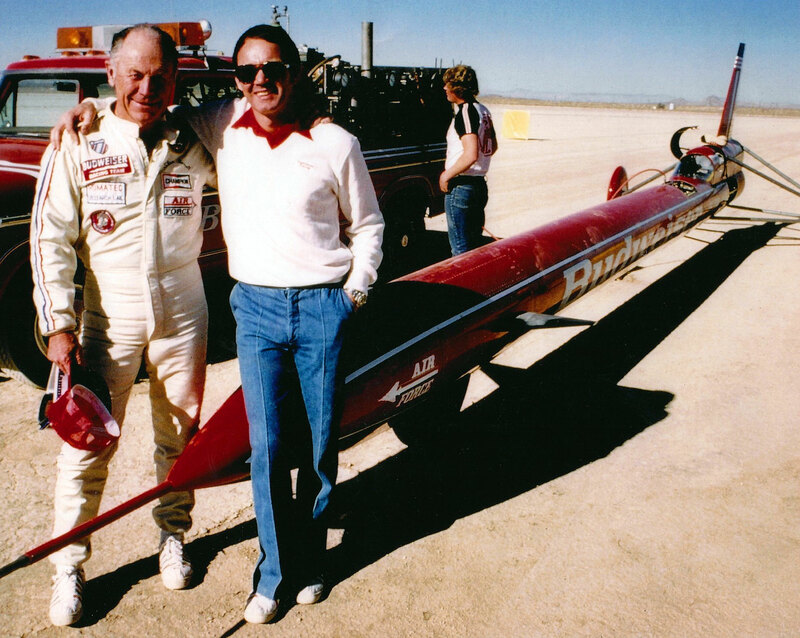 So one day, after Stan set the record, he let his pal Chuck Yeager drive the Budweiser Rocket Car. 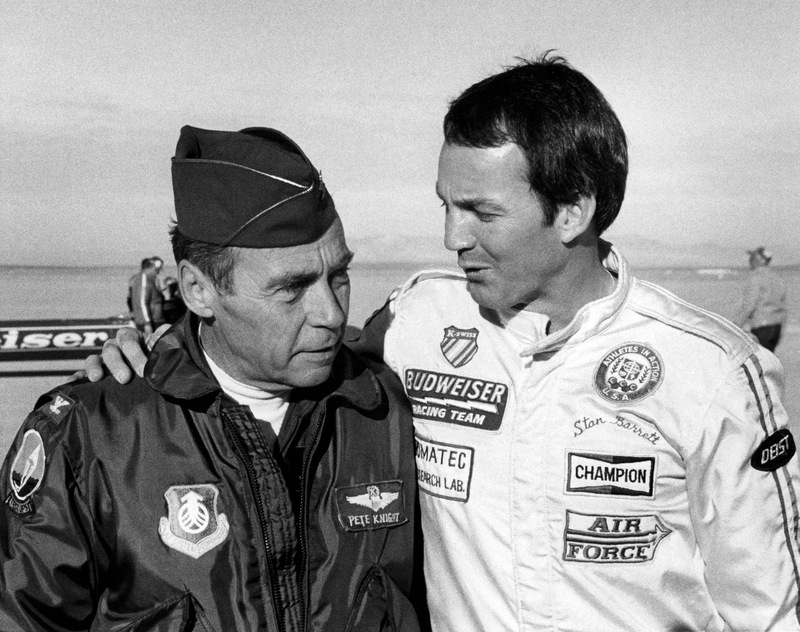 The photo above is kind of funny because if you look closely, you notice Chuck Yeager is wearing Stan Barrett's racing uniform, as well as his K-Swiss shoes. Stan and Chuck ended up becoming good friends—a friendship that exists to this day. The next man in the line of Rolex Barrier Breakers was U. S. Air Force Test-Pilot & NASA Astronaut, William J. "Pete" Knight. 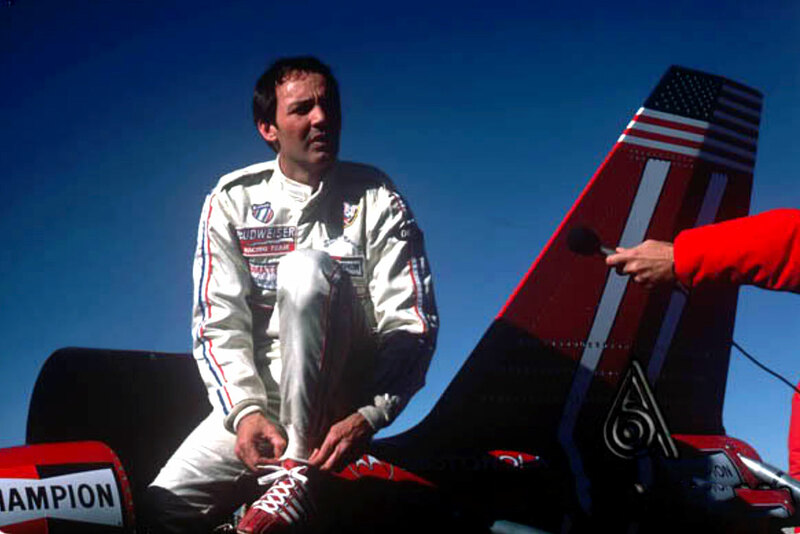 Pete Knight, like Chuck Yeager, played a pivotal role in Stan Barrett's record-setting performance in 1979. 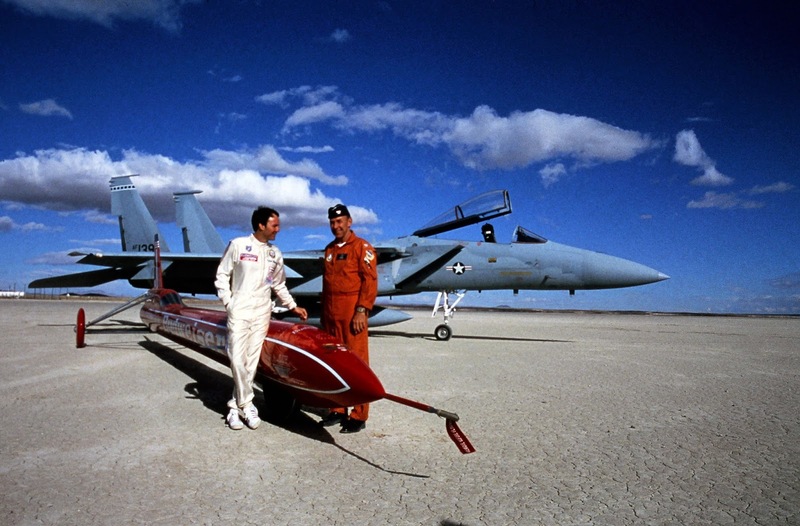 Stan Barrett is pictured below with Pete Knight during the time trials at Edwards Air Force Base in 1979. 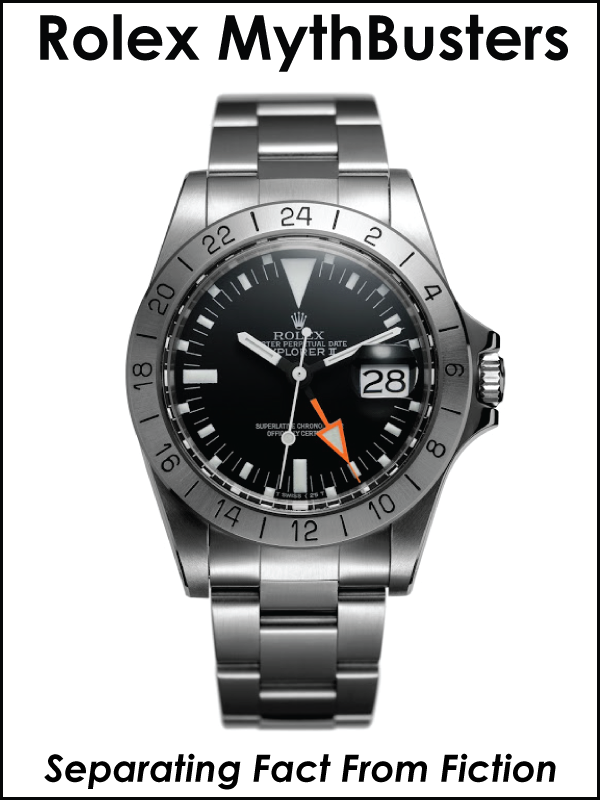 The photo above is of Pete Knights actual GMT-Master watch he wore when he flew his X-15 at Mach 6.7. 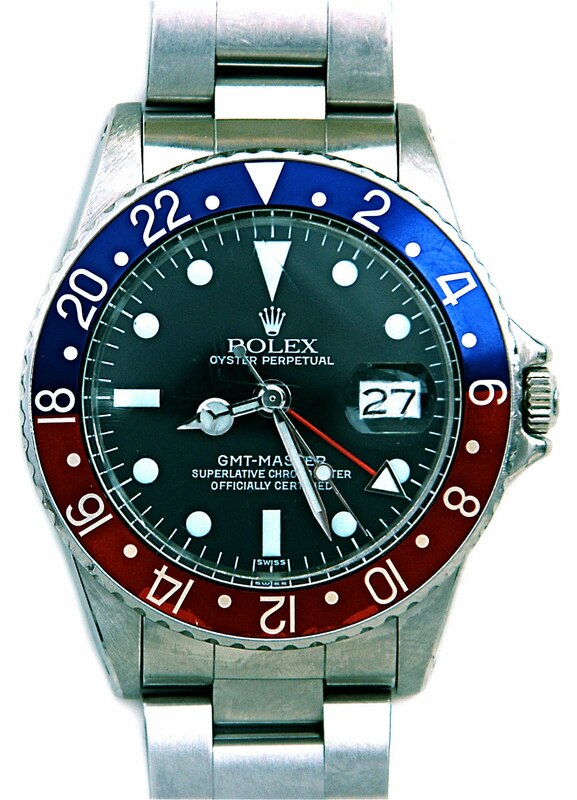 Notice it is almost identical to Stan Barrett's Pepsi GMT-Master [Rolex Reference 1675]. 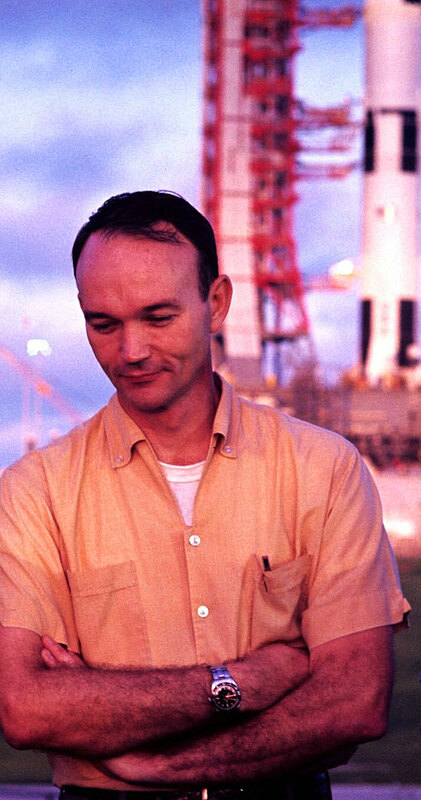 Next we are going to take a look at NASA Astronaut, Michael Collins, who was part of the Apollo 11 Mission, which was the first NASA mission to land men on the moon, and return them safely to earth. 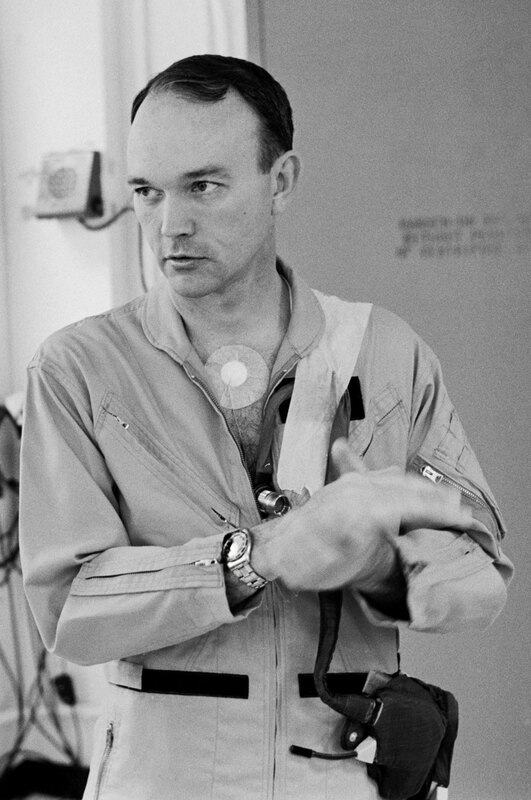 In the photos below we see Michael Collins just before he left for the moon, and he is wearing his trusted Rolex Turn-O-Graph. So what does Michael Collins have to do with this story and Stan Barrett, besides the fact they were both barrier-breakers and the fact they both wear Rolex watches? 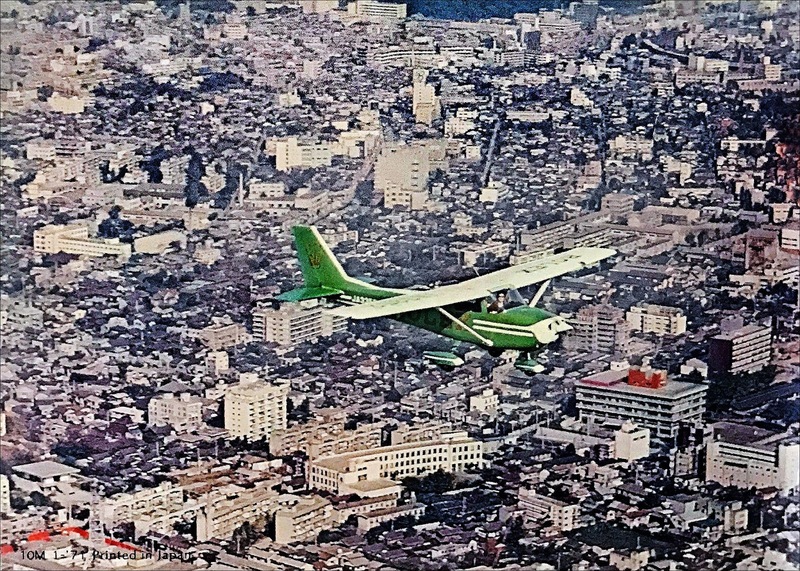 Michael Collins was present to support and witness Stan Barrett breaking the sound barrier in 1979, as seen in the photo above, just to the right of Hal Needham. 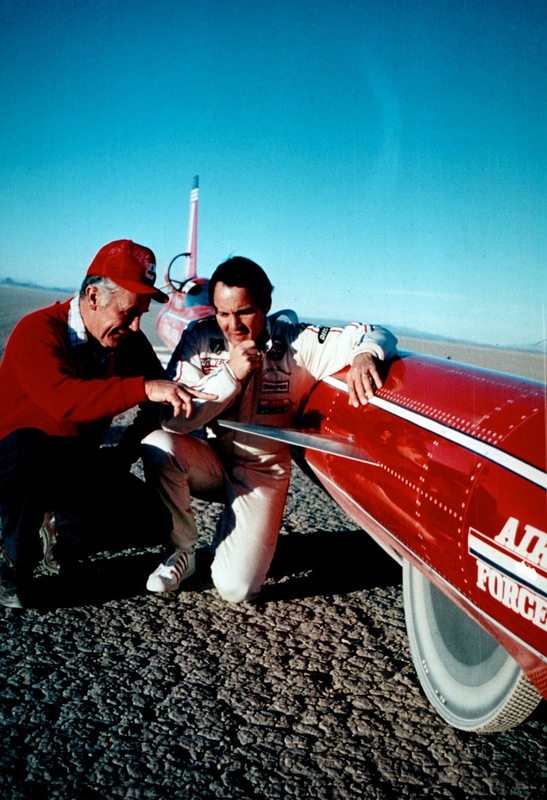 Michael Collins is checking out the Budweiser Rocket with avid fascination, as he was a United States Air Force Test Pilot, prior to becoming a NASA Astronaut. 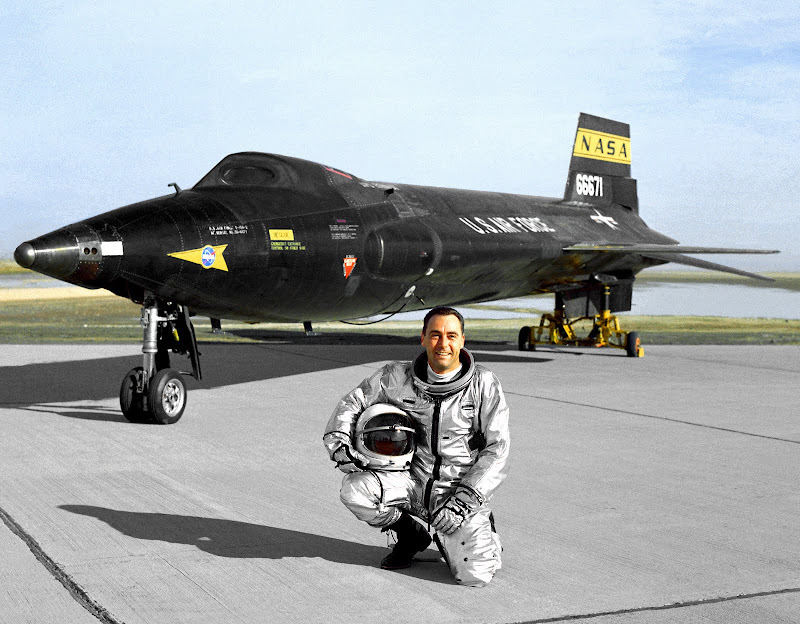 So we have three key U.S. Air Force Test Pilots who were all Right Stuff Characters who helped and watched Stan Barrett break the Speed Of Sound Barrier at Edwards Air Force Base in 1979. There is nothing unusual about a Speed Demon setting back-to-back-to-back land speed records at a U.S. Air Force Base is there? Well, YES it is unusual—but, all the top U.S. Air Force brass were so enthralled by what Stan Barrett was attempting to achieve they couldn't help but get super-excited. 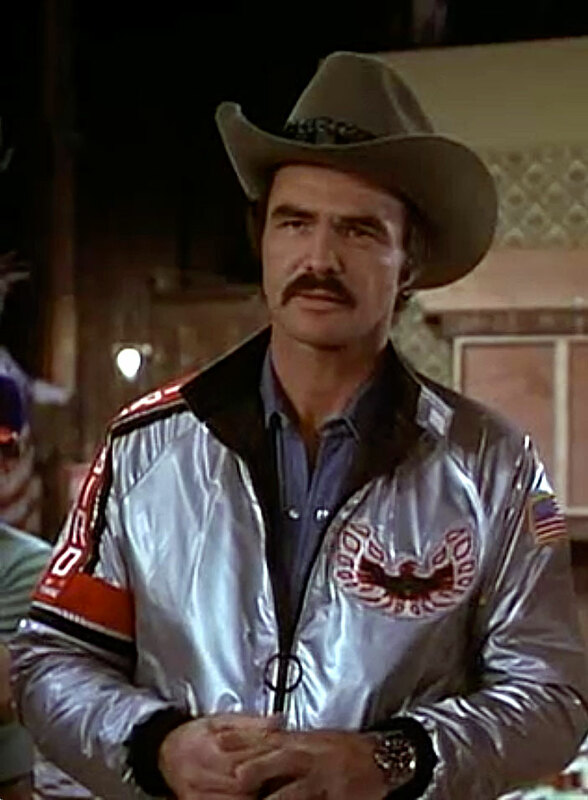 Stan Barrett and the Budweiser Rocket represented everything they dreamed of and lived for as men—To be a super-competent Alpha-male who genuinely pushed the envelope. In Stan Barrett, they found their true idol, a man who was The Real-Deal. The photo below shows Stan Barrett shaking hands with U.S. Air Force General Conley and General Slay, who were also both on hand to offer their support and watch him break the sound barrier at Edwards Air Force Base. In the photo below we see Colonel Grazier on the left along with Chuck Yeager, Stan Barrett, and Pete Knight, inspecting the cockpit of the Budweiser Rocket. 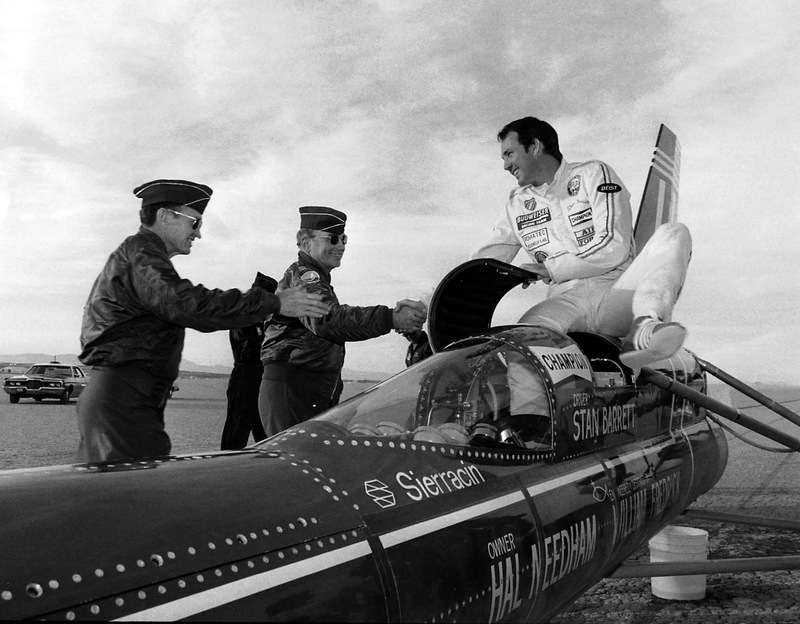 If you look closely you will notice Pete Knight is wearing the Pepsi GMT-Master he wore when he set the all-time speed record for level flight when he flew his X-15 at Mach 6.7 in 1967—also at Edwards Air Force Base. 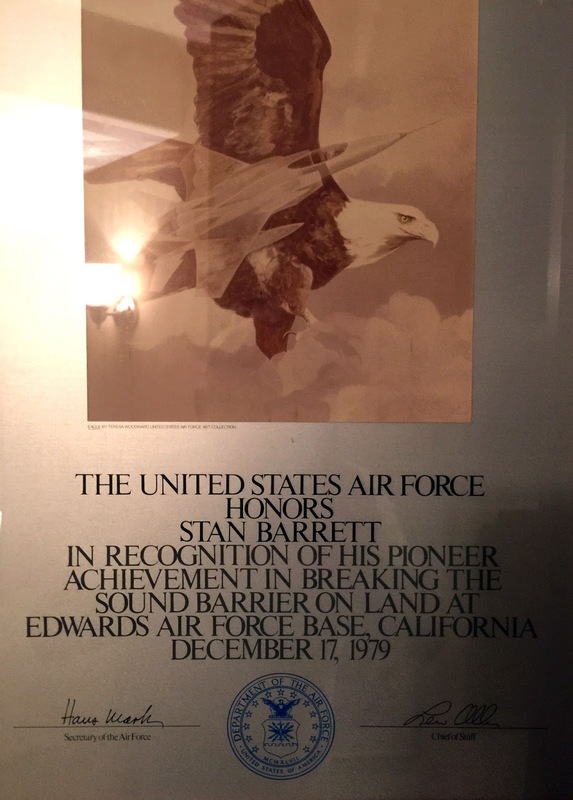 If you think about it, it makes sense that Stan Barrett ended up at Edwards Air Force Base, as it is the home of Supersonic Speed, beginning with Chuck Yeager, and continuing through the X-15 program, and as previously mentioned it is even the place the first Space Shuttle Columbia landed. 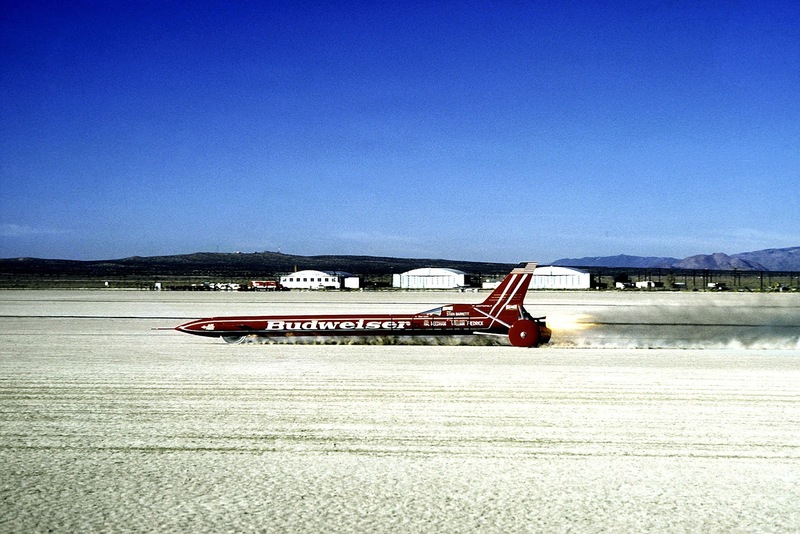 If you look closely at the photo above of Stan Barrett's Budweiser Rocket being driven past the speed of sound in the photo above, you notice that just after the sonic boom, the vehicle started seriously buffeting, which caused the rear wheels to lift off the ground, and the rocket got airborne. You can see the shockwaves from the buffeting under the car in the photo above. 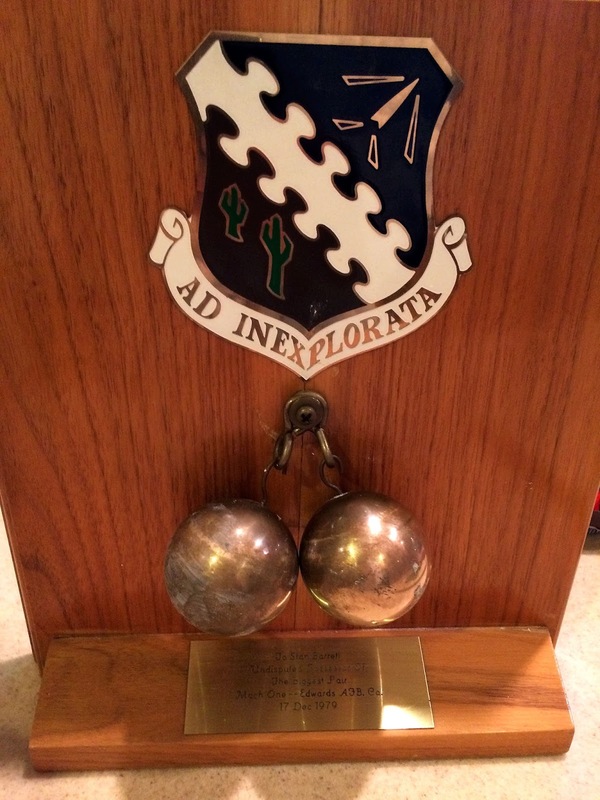 The photo below is of an award the U.S. Air Force gave Stan Barrett for his outstanding achievement. "To Stan Barrett. Undisputed Holder Of The Biggest Pair. Mach One--Edwards AFB. 17 Dec 1979." In the photo below we see Stan Barrett just after he broke the speed of sound barrier by driving Mach 1, as he prepares to fly an F15 through the sky at speeds past Mach 1, thus making him the first man on Earth to drive and fly faster than the speed of sound! 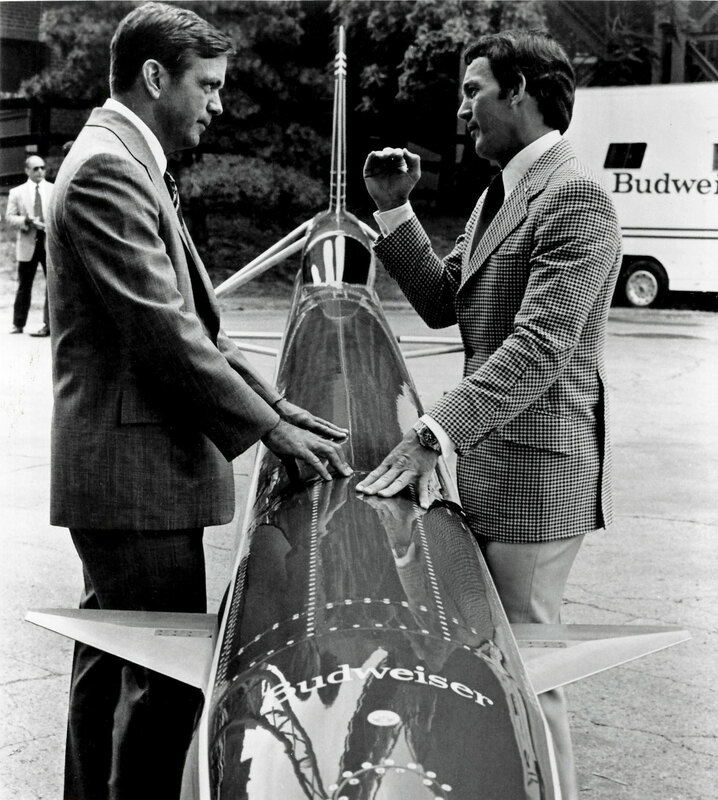 In the photo below we see Stan Barrett speaking with then Budweiser CEO, August Busch with the Budweiser Rocket car between them. 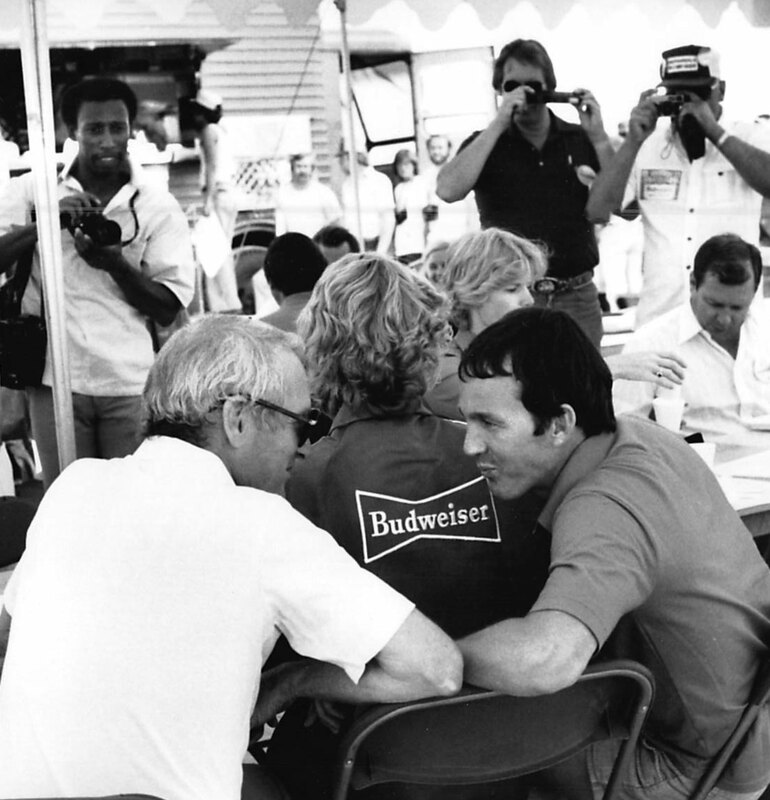 Paul Newman was responsible for putting together the relationship for Budweiser to be the lead sponsor. In the photo below, if you look closely, you will notice Stan Barret is wearing a yellow gold Rolex GMT-Master, which August Busch gave his as a congratulatory gift after he broke the speed of sound barrier in the Budweiser Rocket. 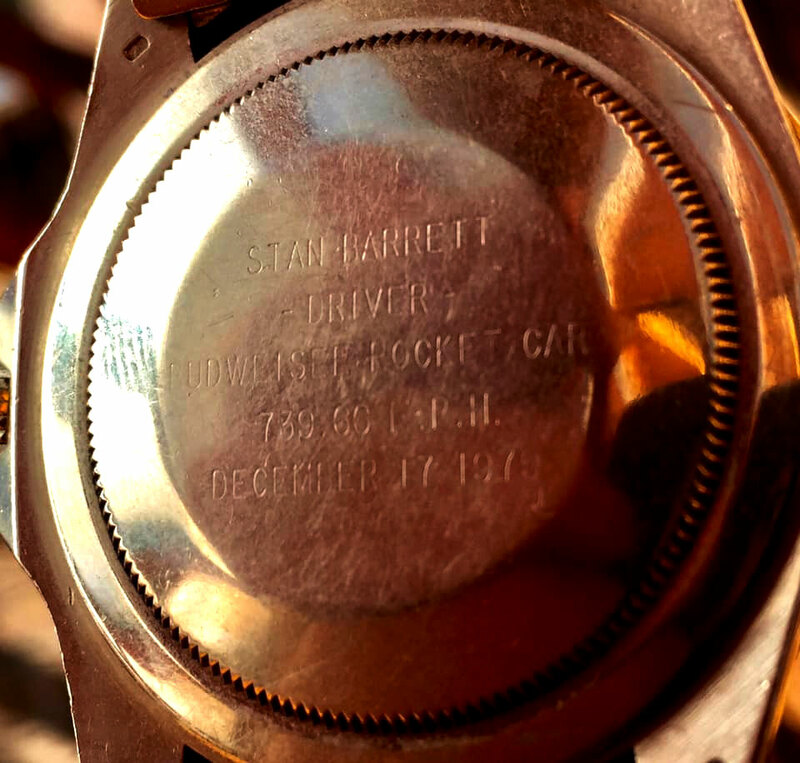 "STAN BARRETT, —DRIVER—, BUDWEISER ROCKET CAR, 739.66 M.P.H, DECEMBER 17, 1979." 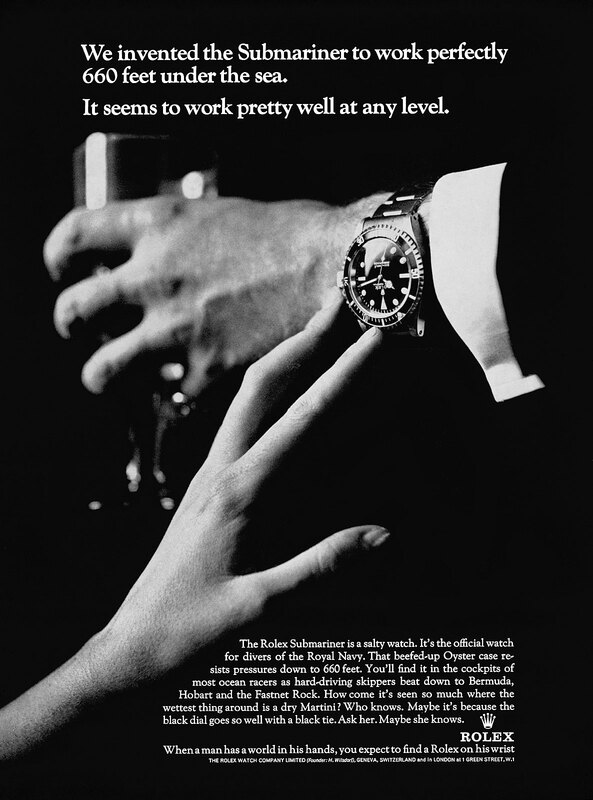 David Concannon took this photo and Stan Mentioned that T. Walker Lloyd from Rolex U.S.A. spoke with him on the phone and asked him which Rolex model he preferred. 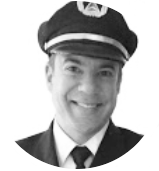 In the final analysis, it is important to point out that Stan Barrett really represents the tail end or final culmination of the Right Stuff. Although The Right Stuff begins with Chuck Yeager, I think Sir Malcolm Campbell could easily be added to the list as could Andy Green, kind of like the bread on a sandwich. 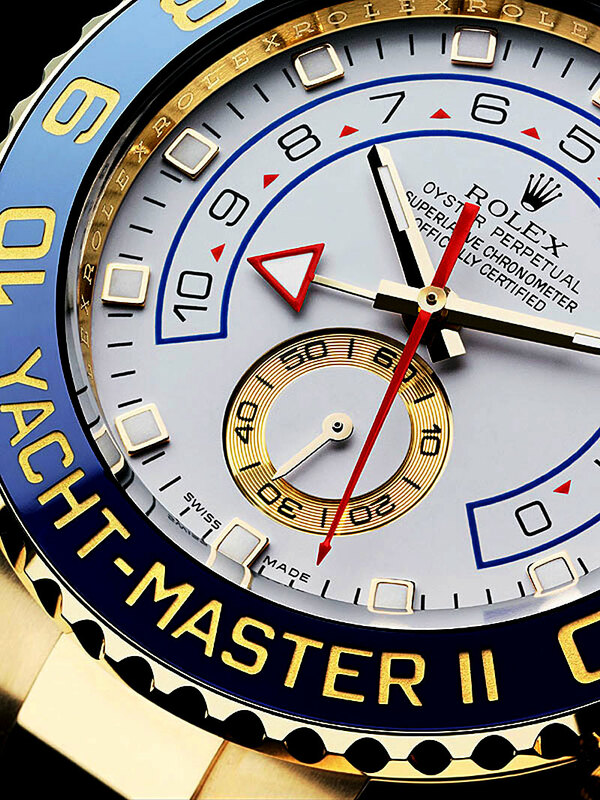 Illustrating all this rich Rolex land-speed history, really ads valuable and fascinating new insight into the history of the Rolex Daytona and GMT-Models. Speaking of Andy Green, let's fast forward to today. 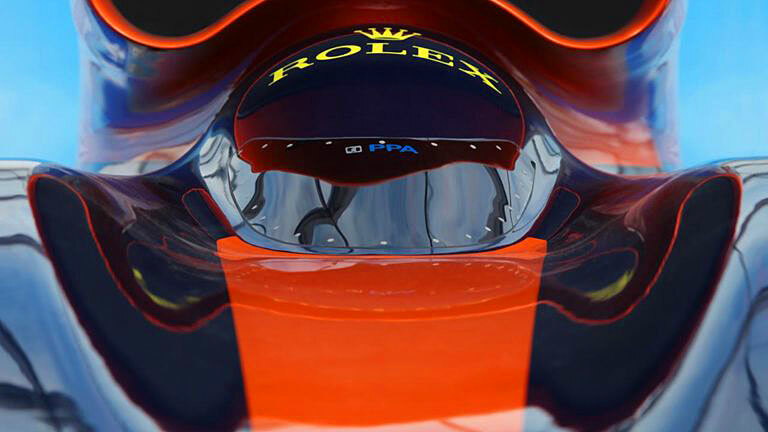 Rolex is a sponsor of the Bloodhound SSC, which is pictured below. 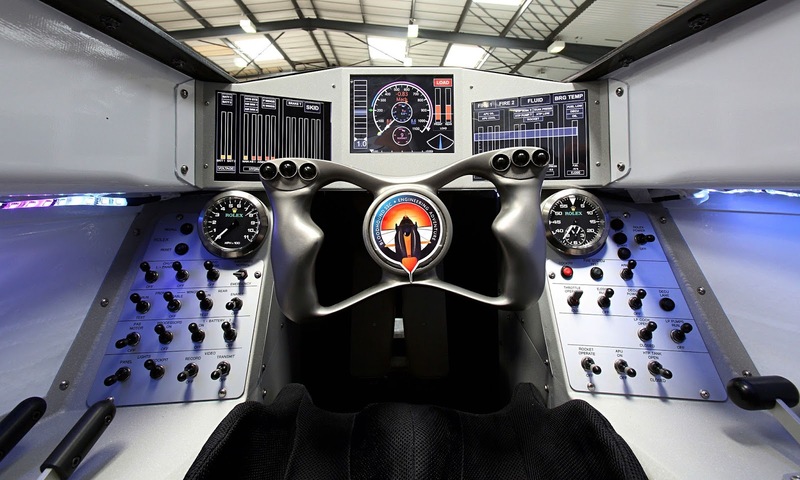 Andy Green, the driver of the Bloodhound SSC is basically the Sir Malcolm Campbell of today. The video below features Chris Harris interviewing Andy Green, and I can't highly enough recommend watching it. If you look closely, you will notice that Chris Harris is wearing his Rolex SEA-DWELLER in the video, along with Andy Green wearing his Batman GMT-Master. 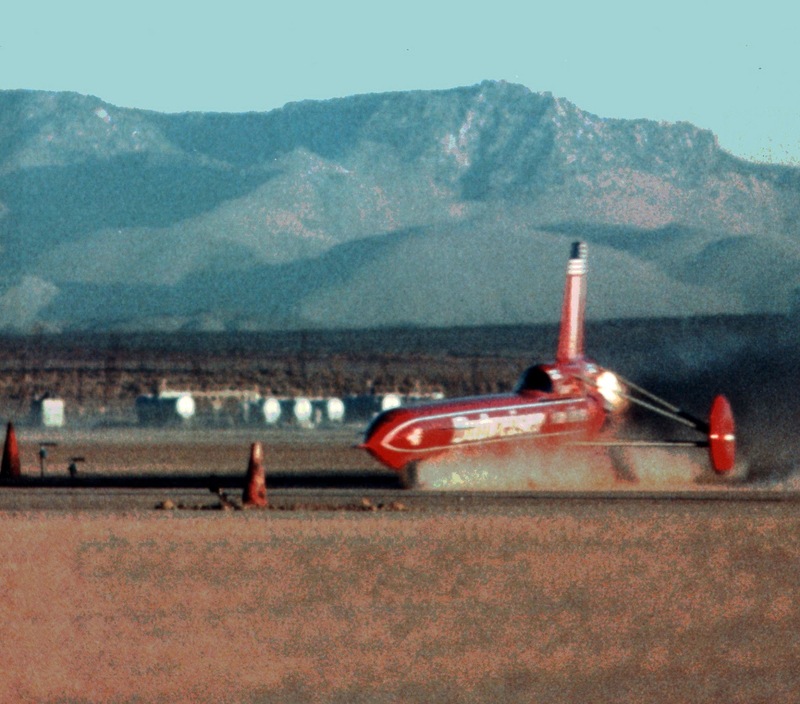 If you get a chance, I highly recommend checking out the official Bloodhound SSC Twitter feed, which has a great deal of fascinating information. So what does all this mean? and what does it have to do with Stan Barrett? 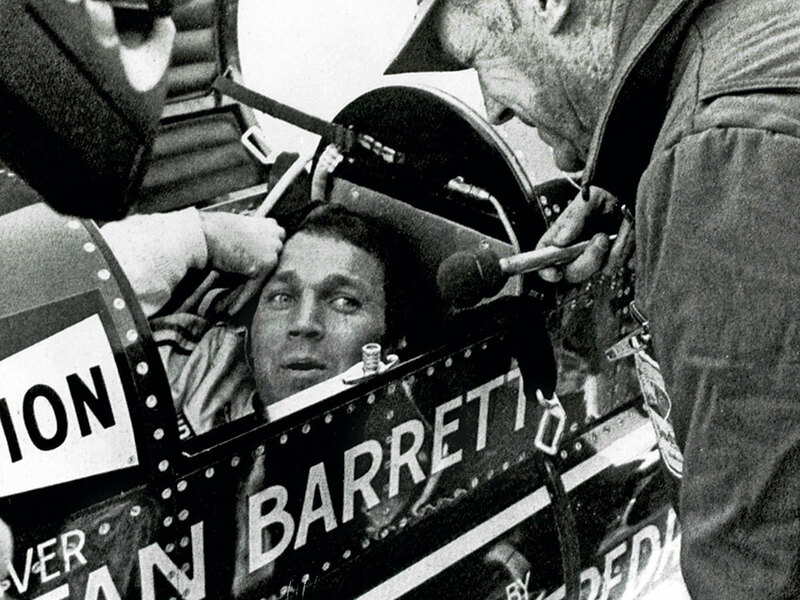 Stan Barrett essentially represents THE NEXUS point between Sir Malcolm Campbell and Andy Green. 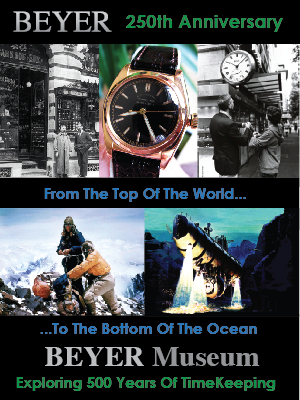 In other words, his Rolex history was a serious missing piece in the Rolex Daytona history puzzle—until today. 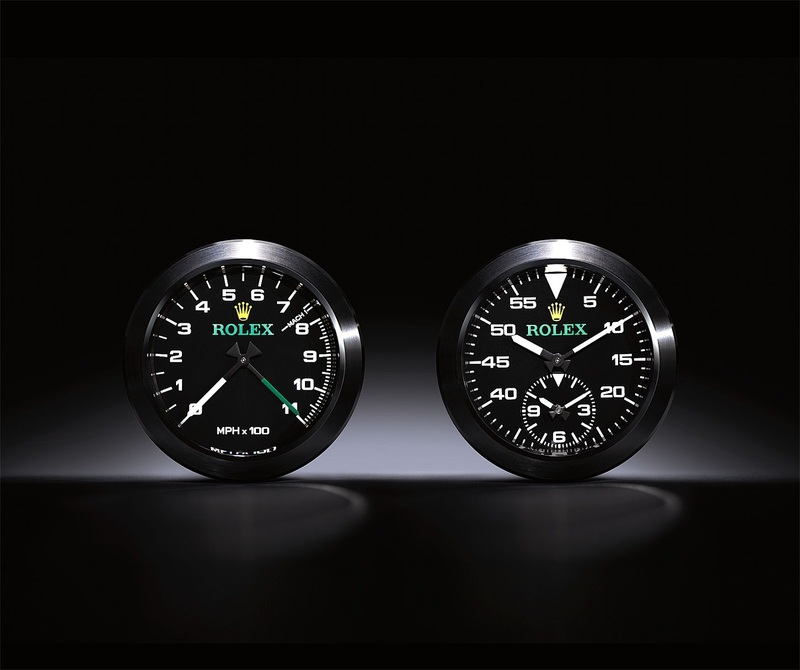 Rolex is a primary sponsor of the Bloodhound SSC, and as you will see below, at BaselWorld 2016, Rolex introduced a new Air-King model that incorporates design language from the Bloodhound Clock. 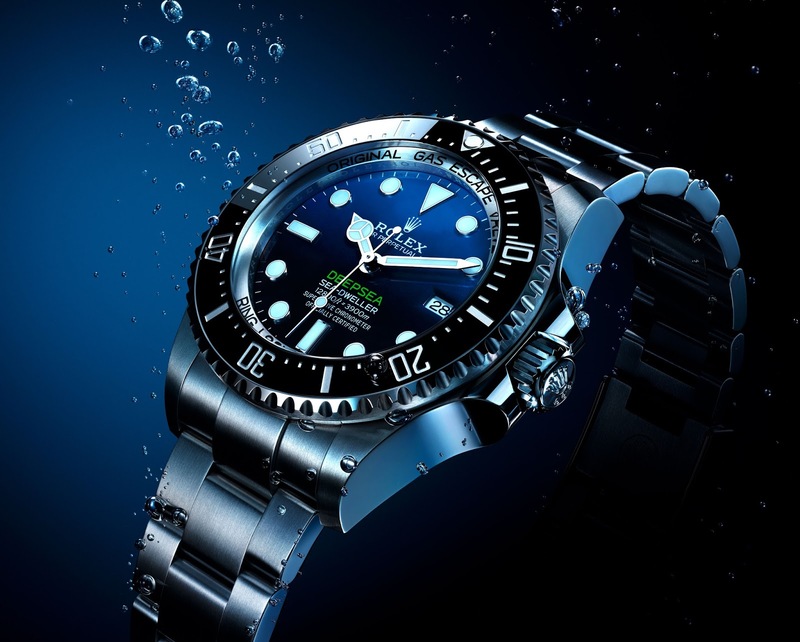 Singer Michael Bublé is pictured below wearing the all-new Rolex Speed King watch model. Stan Barrett was the top-billing stuntman of his era, and as such he was absolutely fearless. Stan said to me "Death is the ultimate beyond and that is where we all end up, so why fear it?" 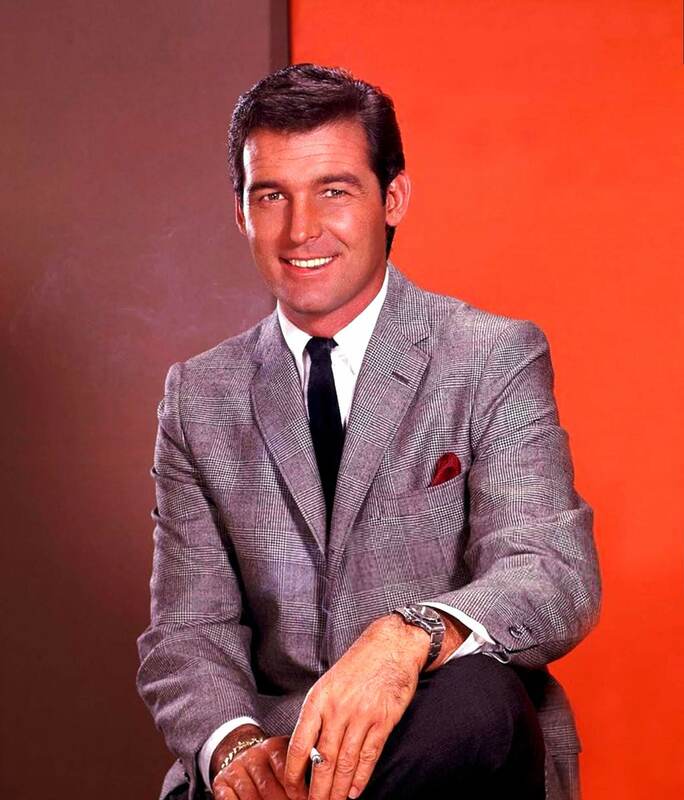 Stan was Paul Newman's stunt double for many years, and he also was a stunt double for Burt Reynolds, and other famous stars from that era. 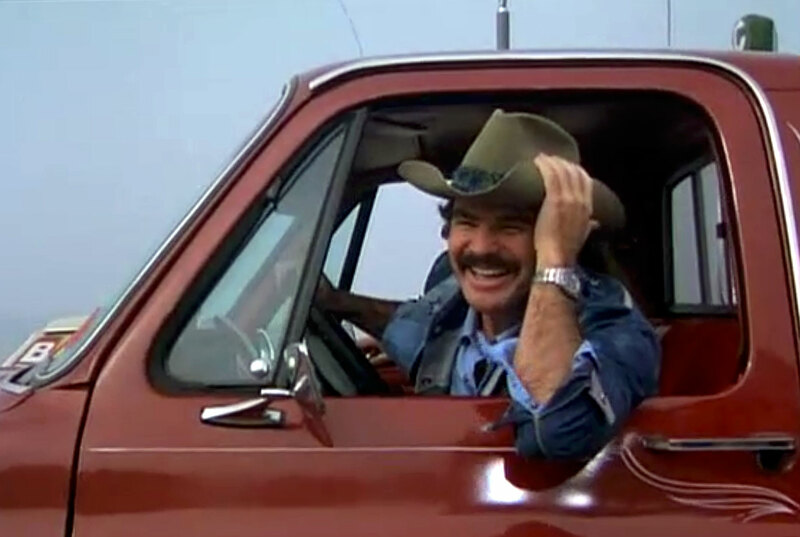 Stan told me a story about how he was the stunt double for Burt Reynolds on the movie Hooper in 1978, and interestingly enough, he loaned Burt Reynolds his Rolex GMT-Master to wear in the movie as Burt played the role of Hal, and they kept passing it back and forth as Stan wore it in the stunt scenes and Burt wore it in the regular scenes. 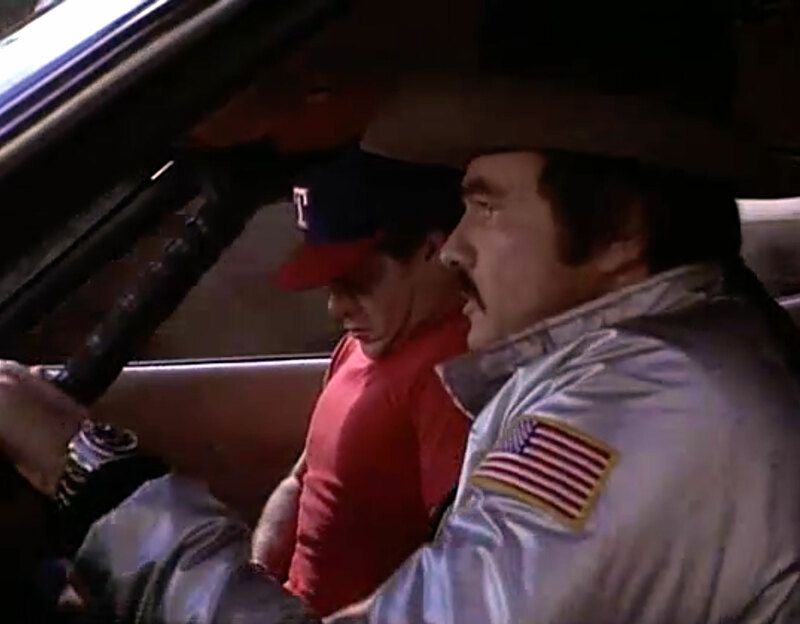 Stan mentioned to me that the action movie Hooper was loosely based upon his and Hal Needham's careers as stuntmen. 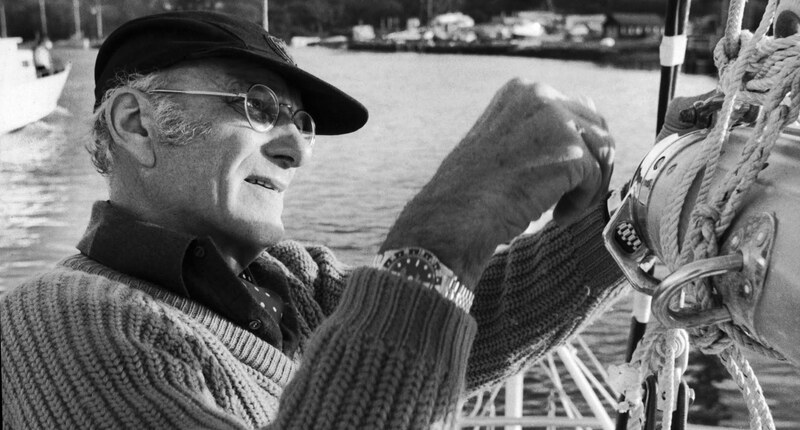 Hall Needham directed the movie, Hooper. 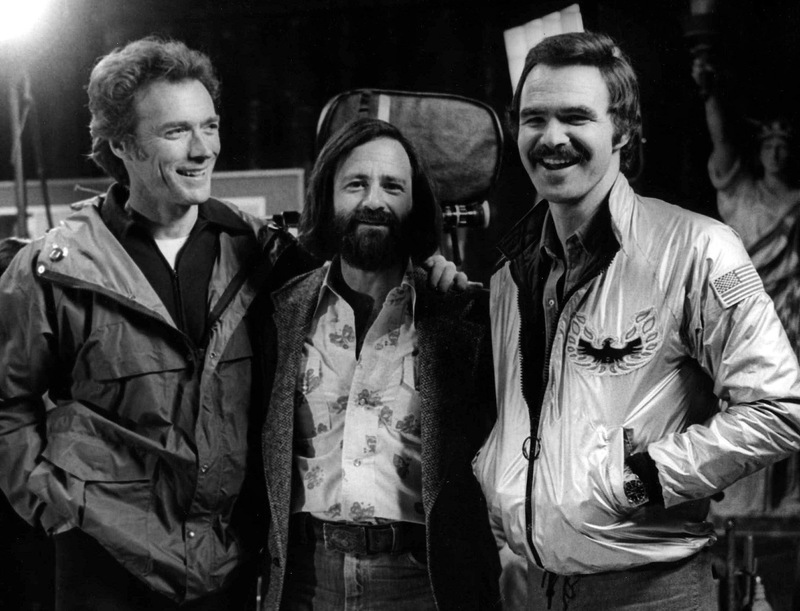 In the photo above, we see Burt Reynolds on the set of Hooper, wearing Stan Barrett's Rolex GMT-Master, as he poses for a photo with fellow top-actor Clint Eastwood, with the movie producer, Lawrence Gordon. 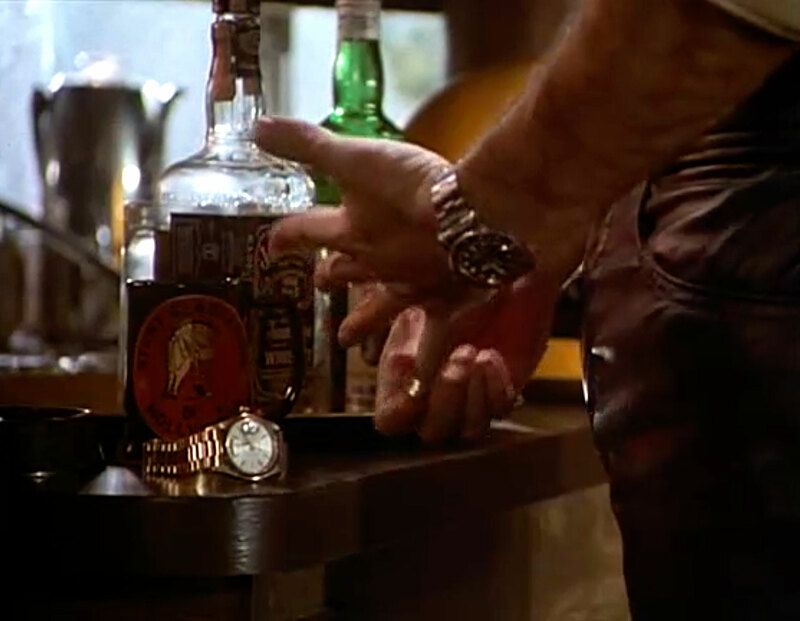 Years ago I watched the 1978 movie Hooper and captured the screenshots above and below that show Burt Reyolds wearing a Pepsi Rolex GMT-Master and Yellow Day-Date. I captured them with the intention of publishing them, but they remained in my unpublished images archive until now. The first image above is from the opening scene of Hooper and shows Burt Reynolds switching Rolex watches as he prepares to do a stunt. 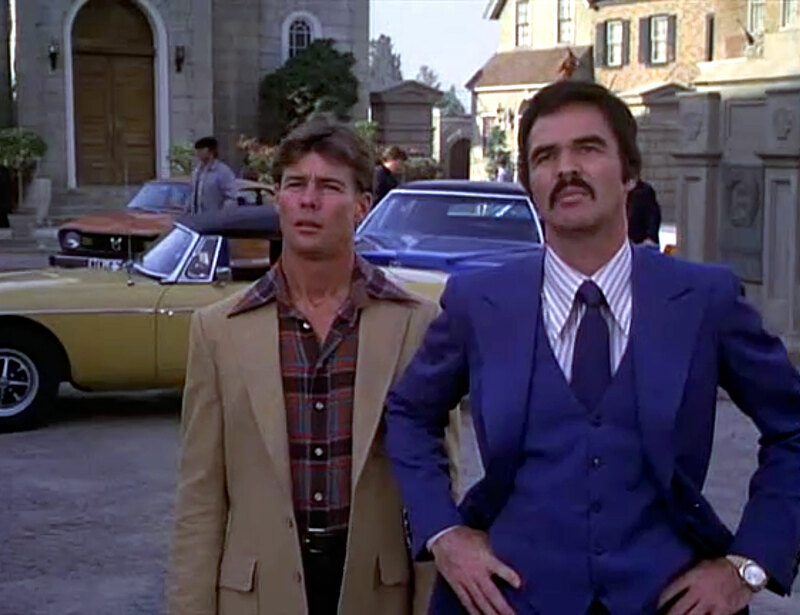 In the screen grab below we see Burt Reynolds wearing Hal Needham's Rolex Day-Date in the movie Hooper. 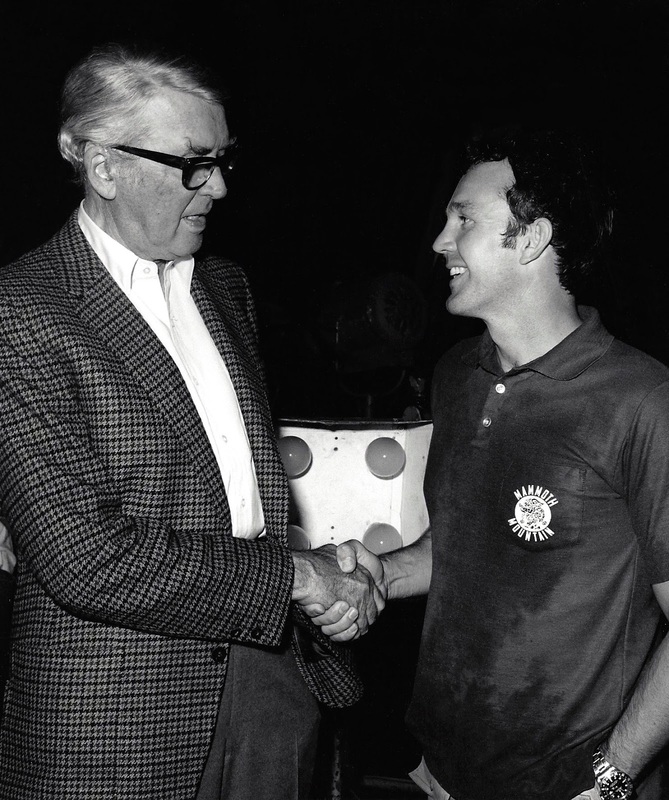 In the photo below we see Stan Barrett shaking hands with famous actor, Jimmy Stewart. In the photo, we see Stan's Pepsi Rolex GMT-Master with crystal clarity. Shenandoah was the first Jimmy Steward movie Stan Barrett was in, and in the photo below we see Stan with Jimmy Stewart on the set of Airport '77 in 1977. Stan is an accomplished athlete and holds two different black belts. He even used to work out with Bruce Lee. 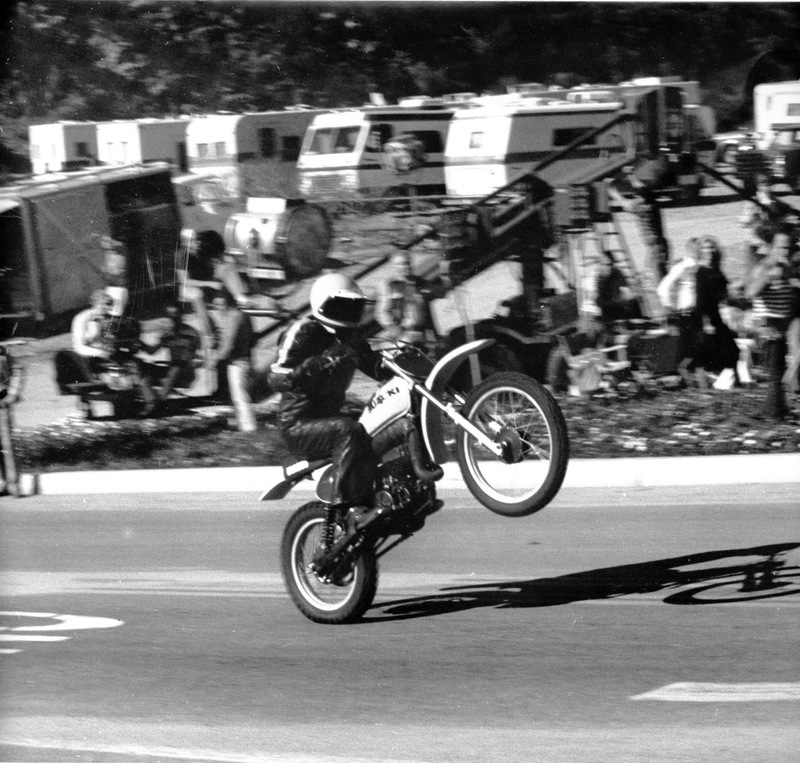 In the photo below we see Stan Barrett pulling a wheelie in front of a small crowd. 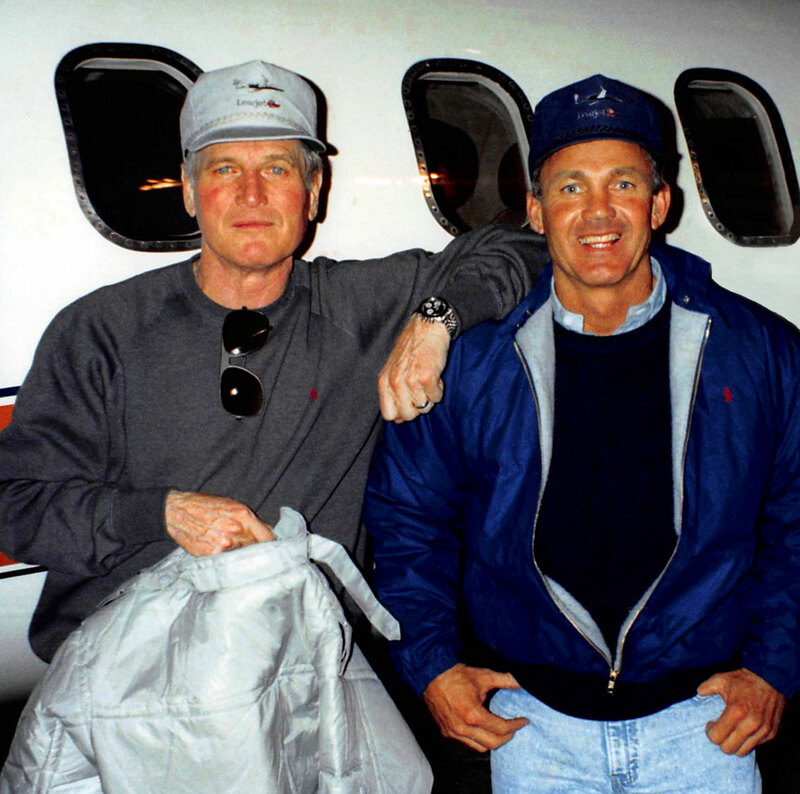 In the photo below we see Stan Barrett with world-famous Olympic Skiing Champion, Jean-Claude Killy, who is a Rolex brand ambassador. In the photo below we see Stan Barrett hanging out with fellow Rat-Pack members, Frank Sinatra and Dean Martin. This photo was taken at an event where Stan Barrett roasted Ronald Reagan before he became the President Of The United States. I asked Stan Barrett: "In 1979 when you set the record, what was your favorite song or album?' Stan responded: "Music Box Dancer by Frank Mills! I listened to it from the time I was in the van till I got out to the rocket every time, and before qualifying in NASCAR! Jackie Arute called it my go fast music." The video below is of Fran Mills performing Music Box Dancer, which is an amazing performance. I highly recommend listening to it, as it ads a whole different dimension to exploring Stan's amazing story of achievement!! So why did I ask Stan what his favorite song was at the time? I was hoping, as he did, that he would tell me he had a theme song that inspired him to push the envelope the way he did. 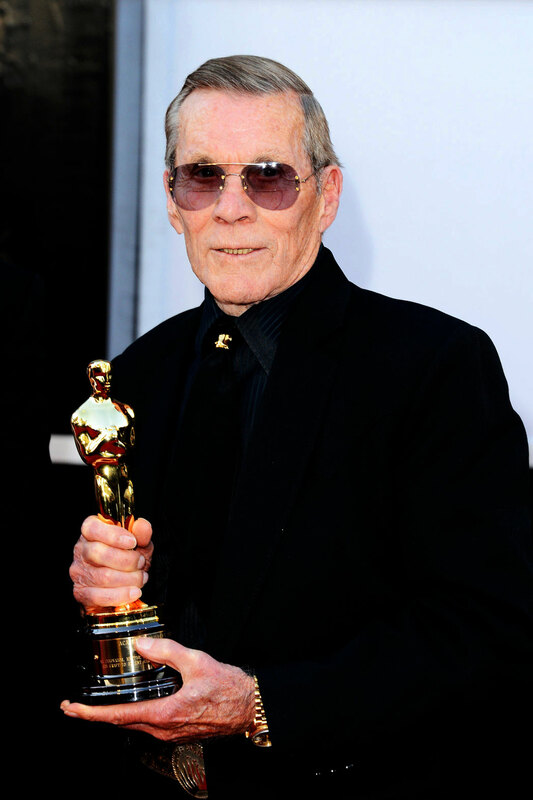 Hal Needham is pictured above sporting his yellow gold Rolex Day-Date. 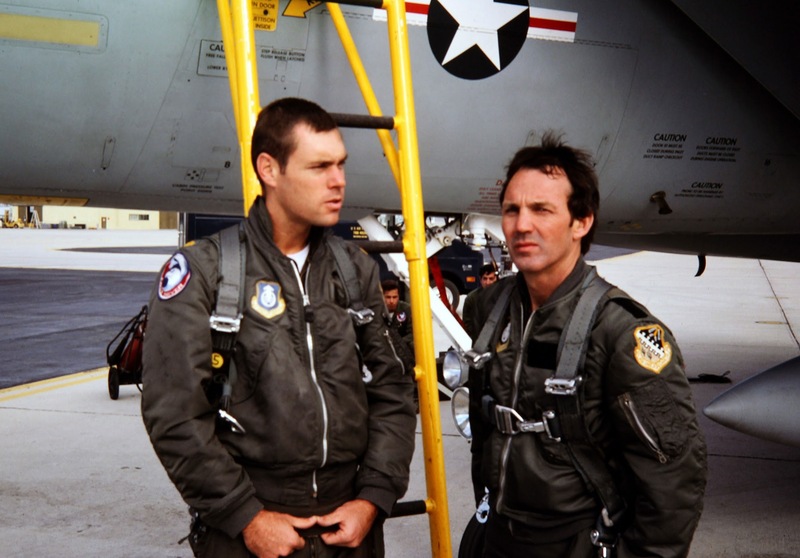 Hal is former stuntman and movie director. He can be seen in the videos toward the top of this story.